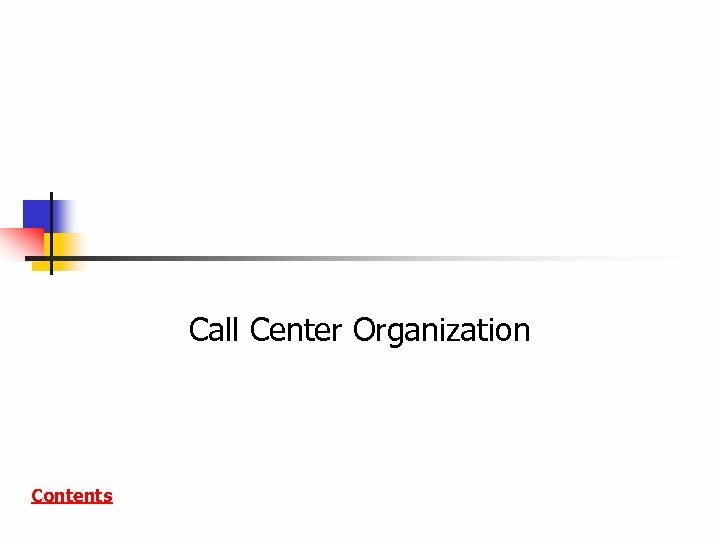 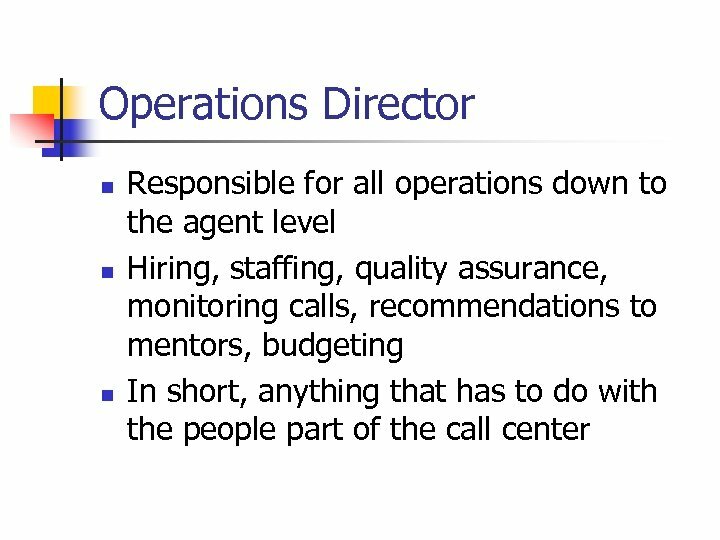 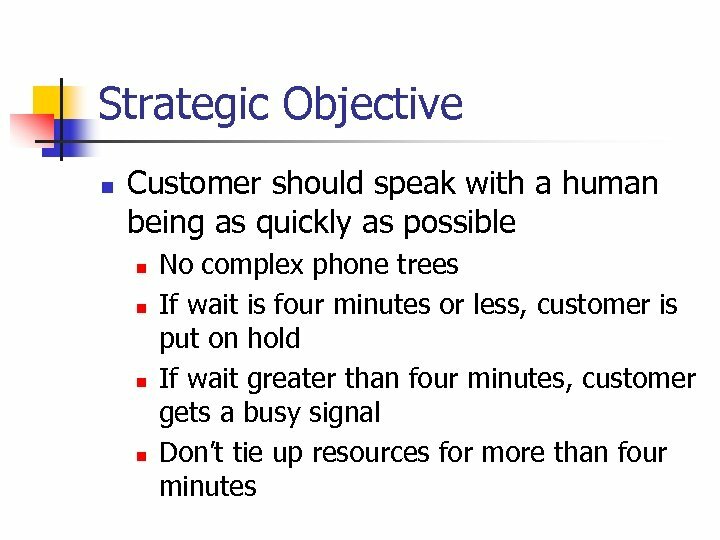 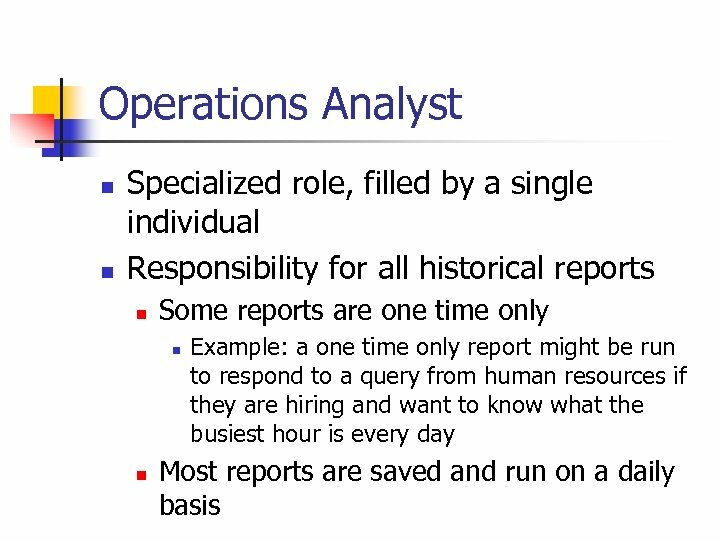 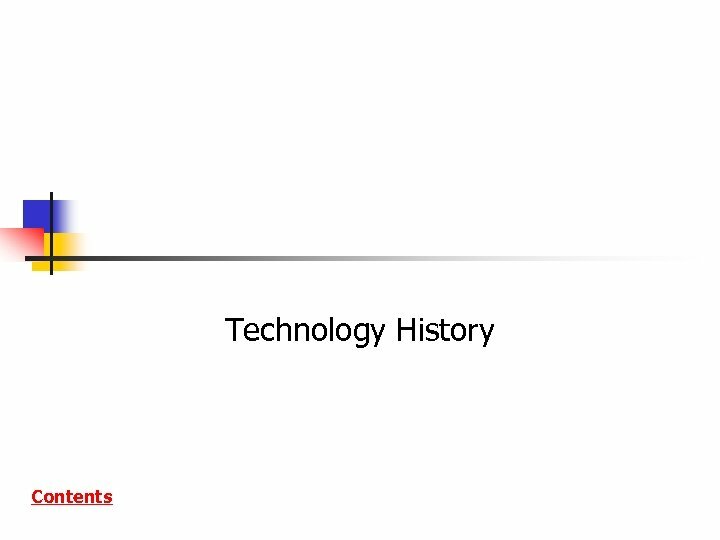 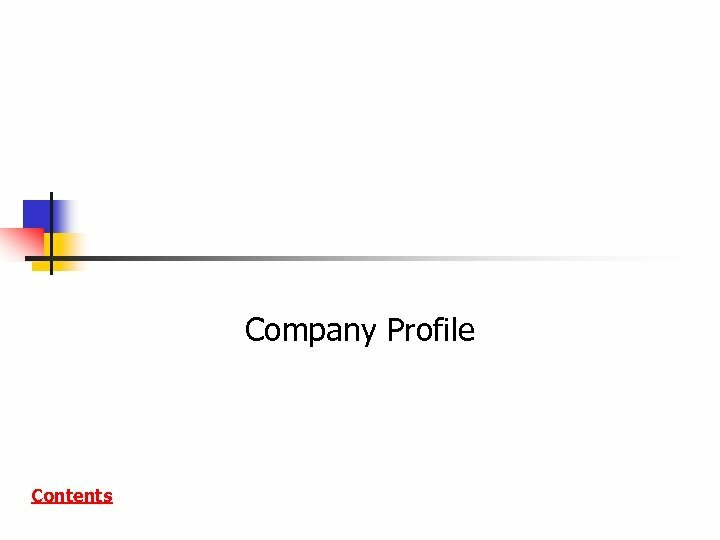 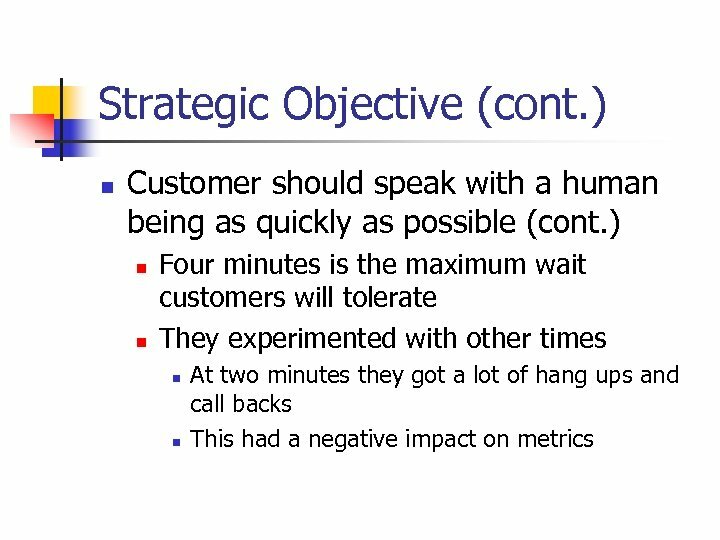 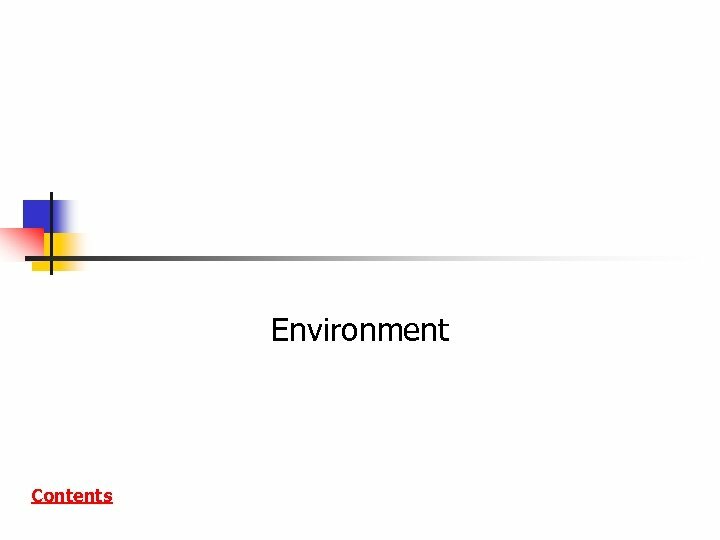 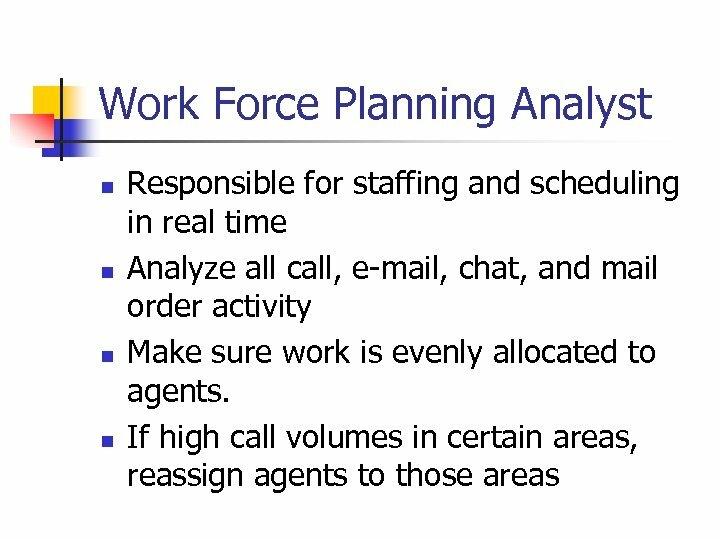 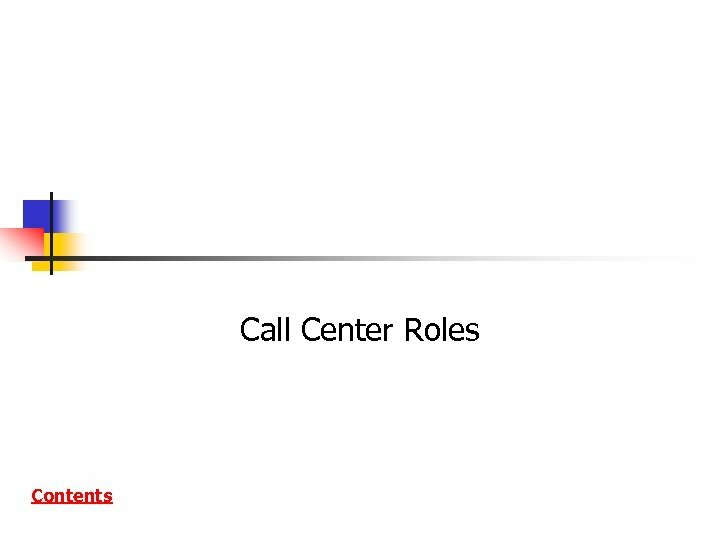 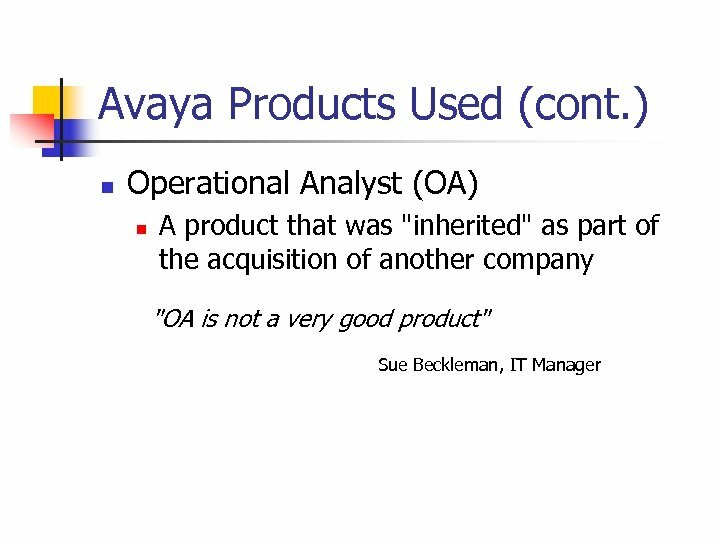 Avaya Operational Analyst (cont. ) 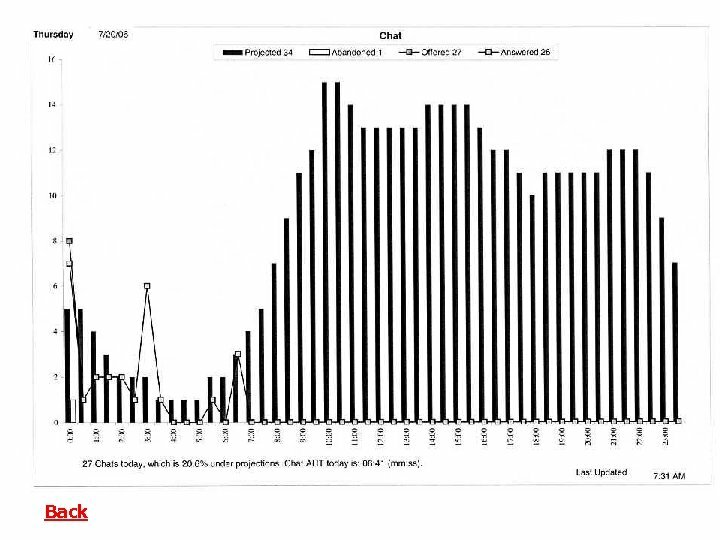 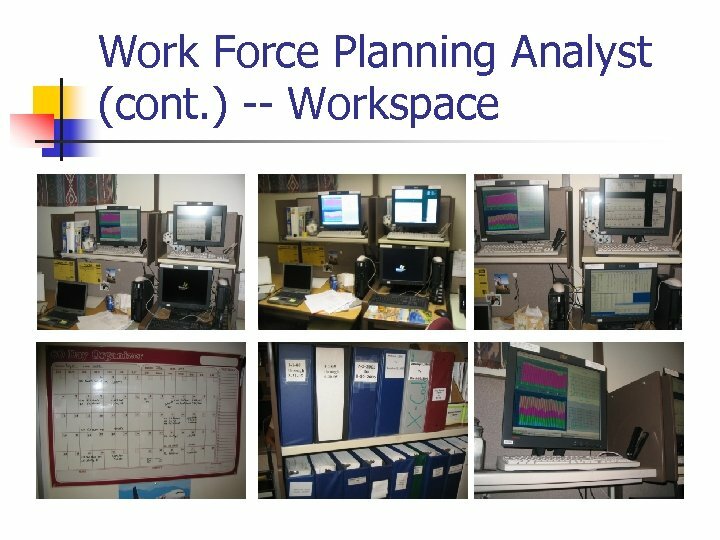 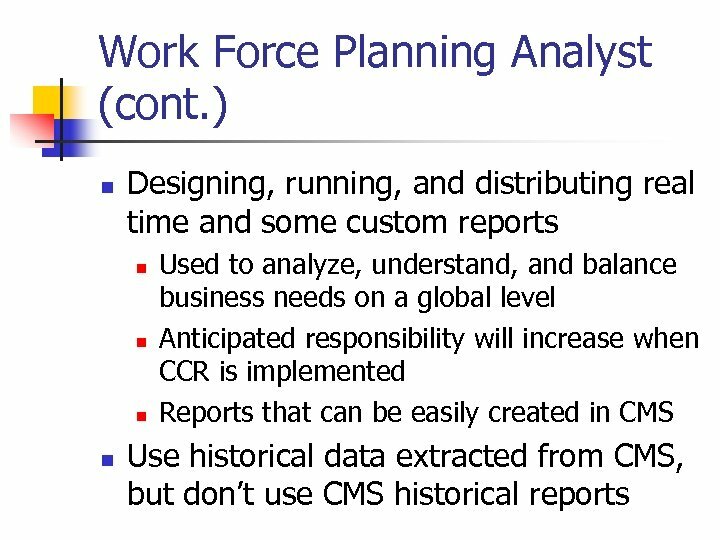 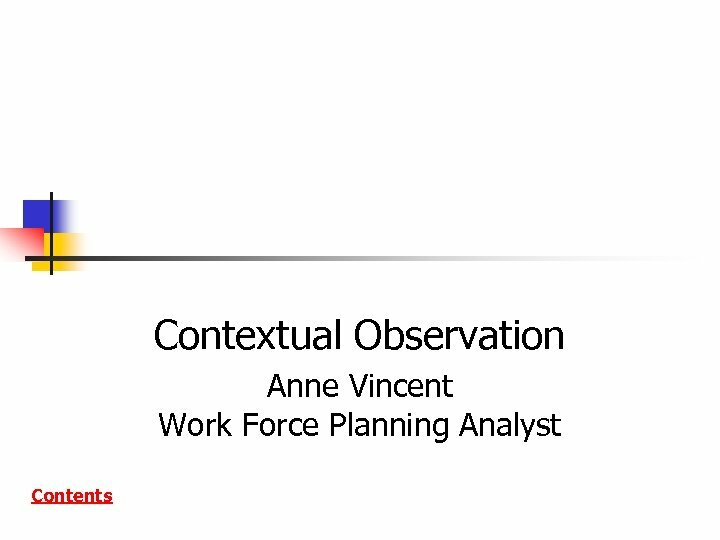 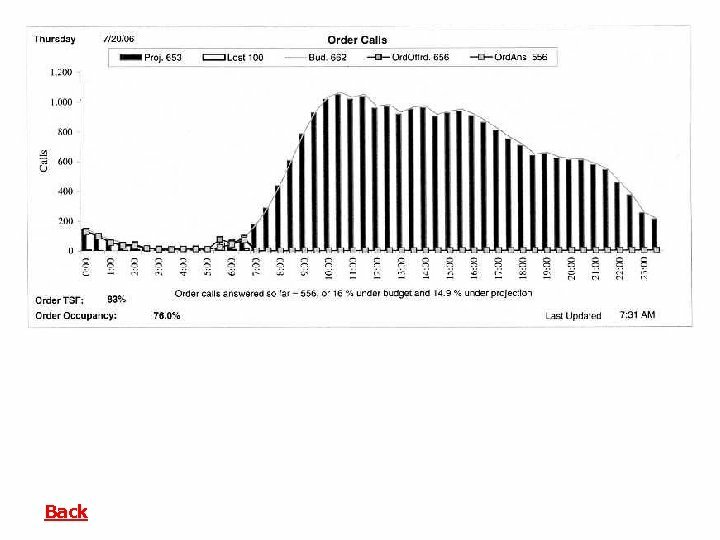 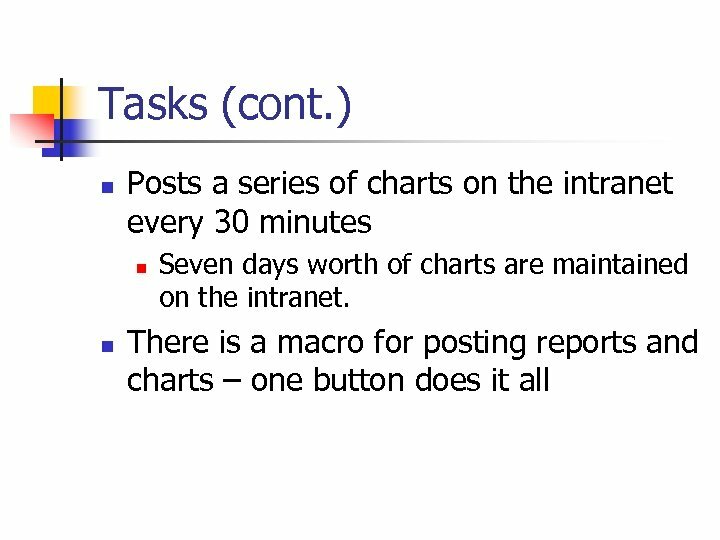 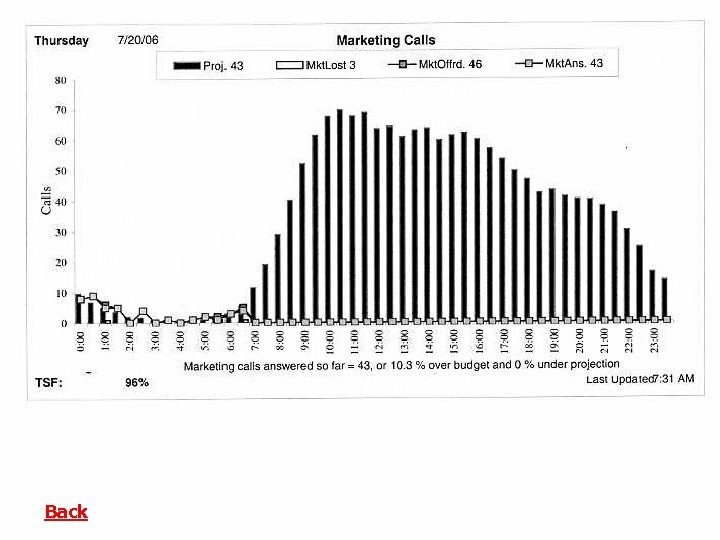 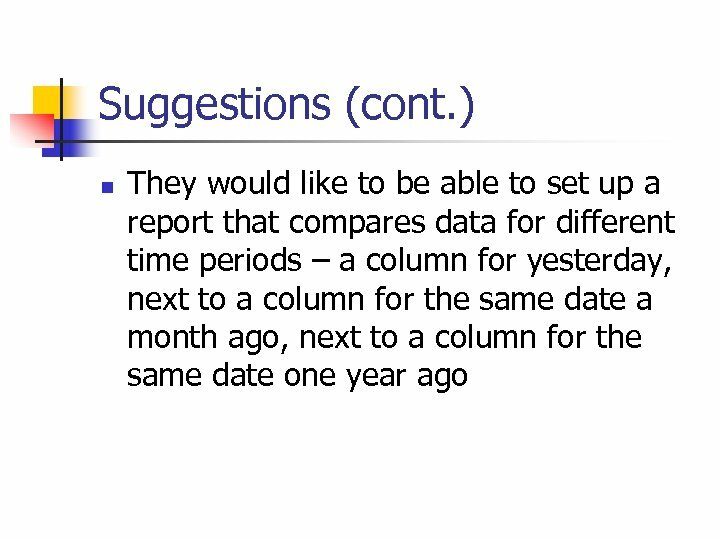 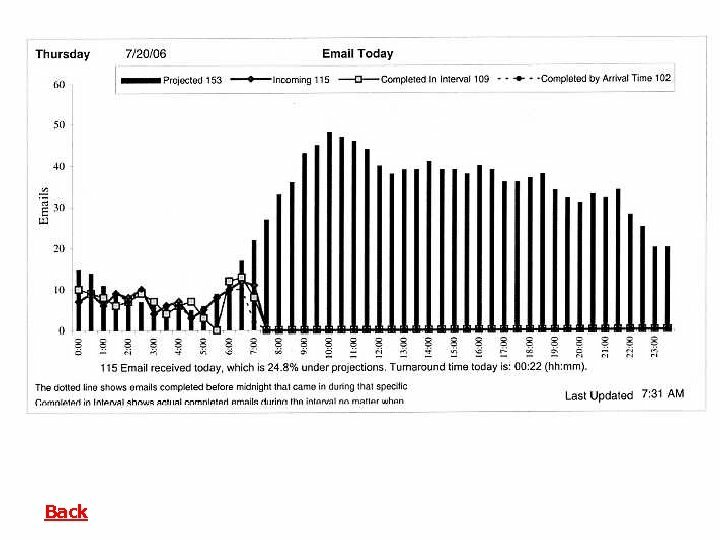 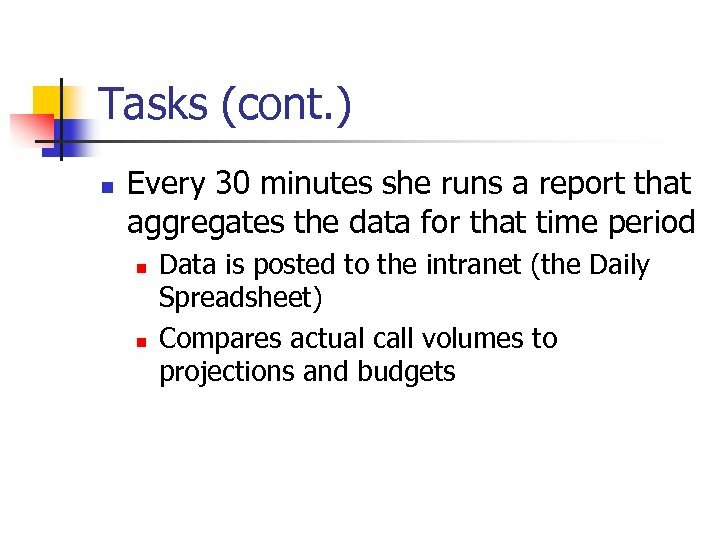 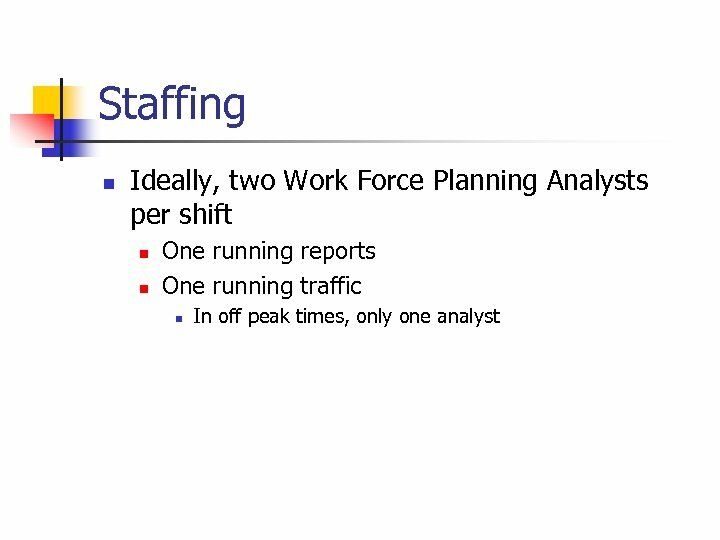 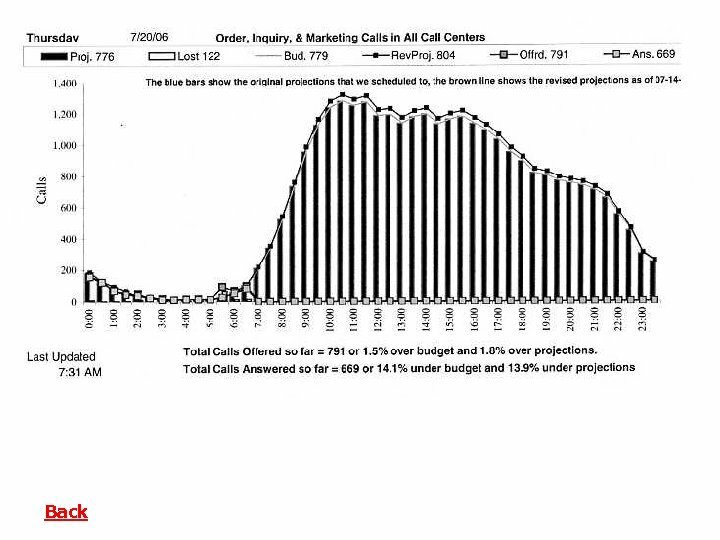 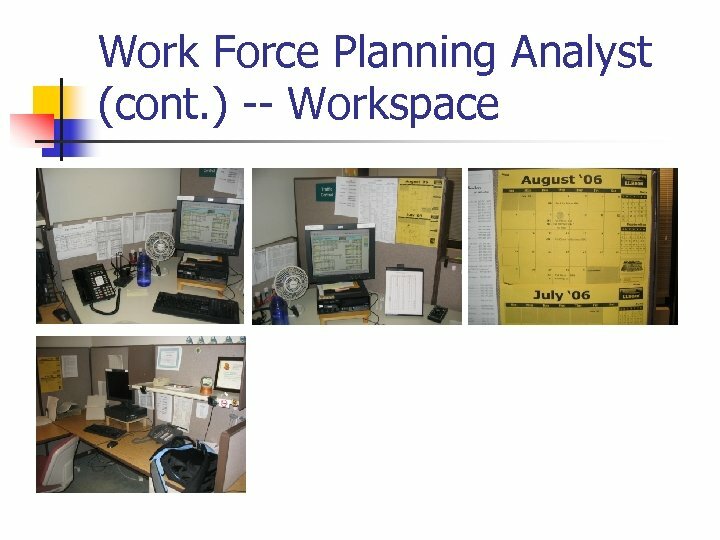 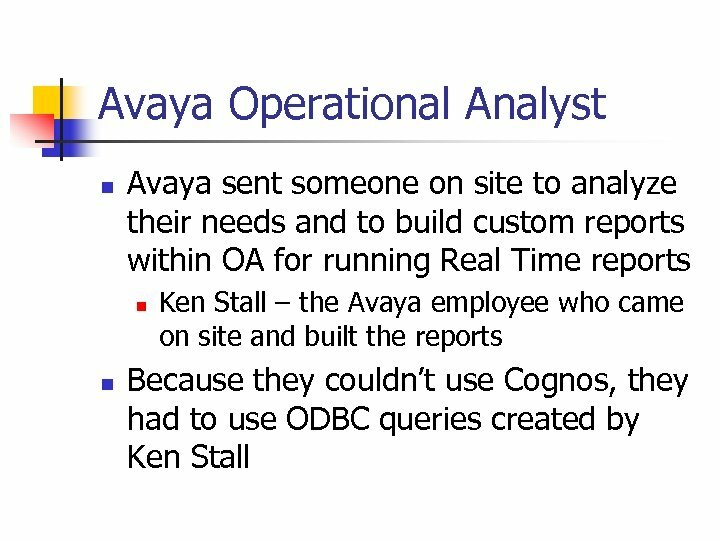 n There was a problem with them using OA (a graphical reporting tool). 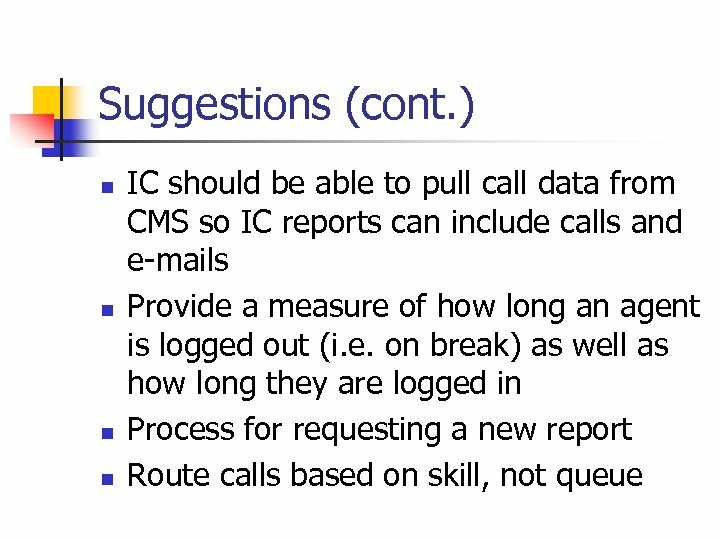 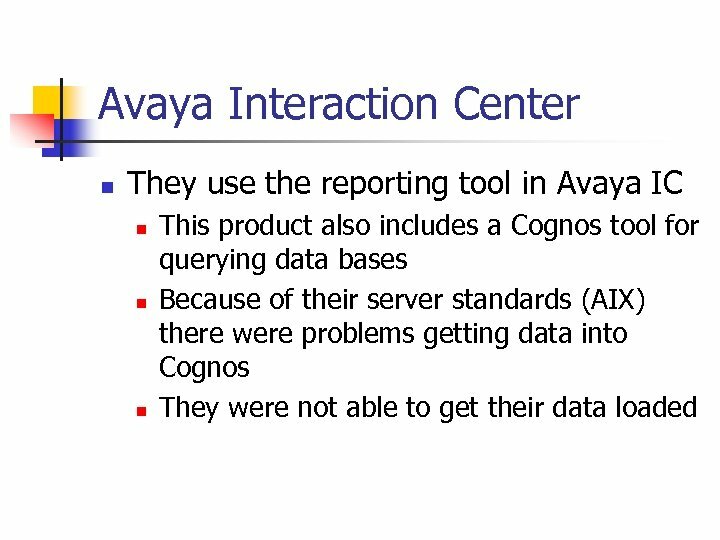 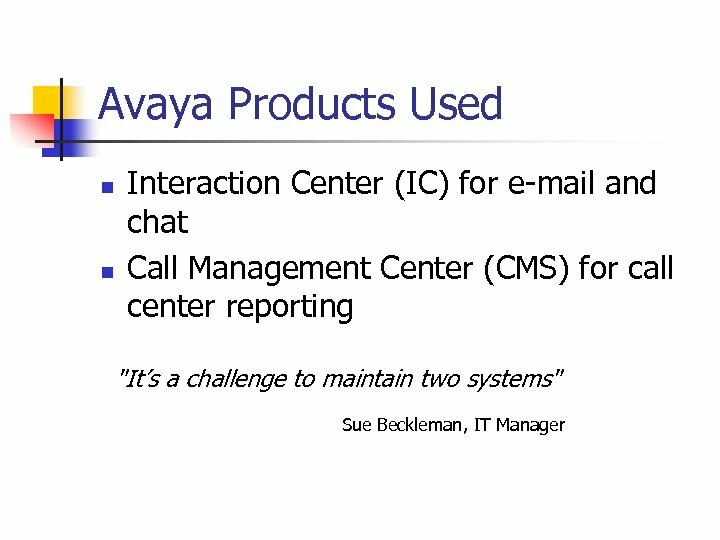 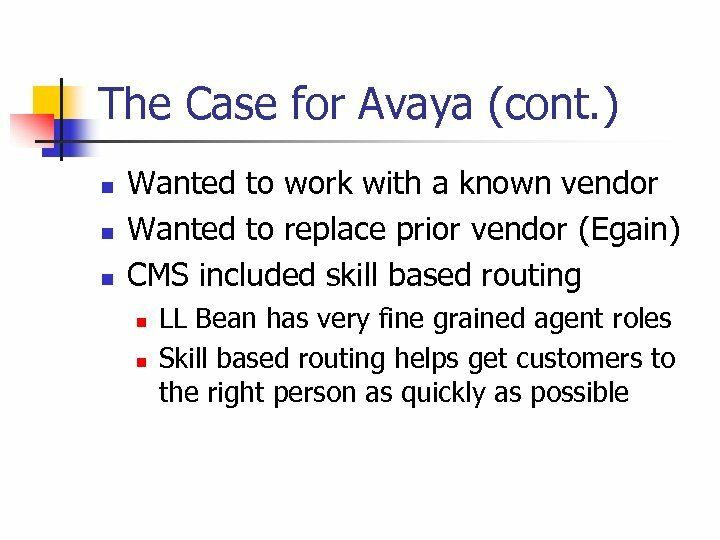 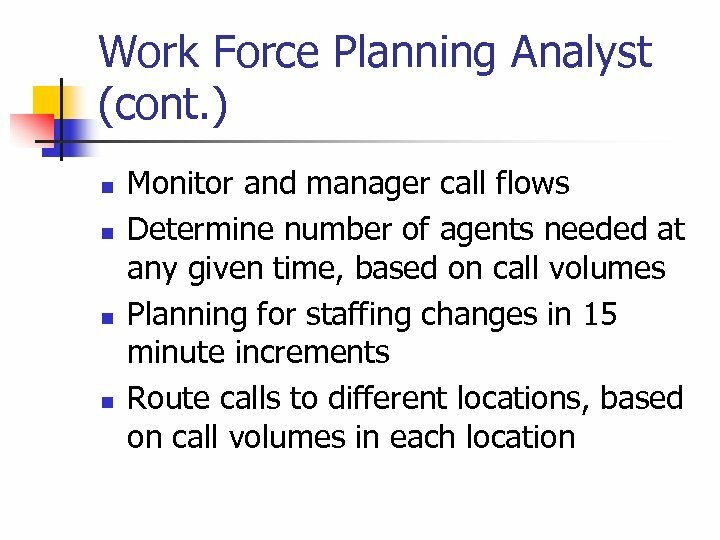 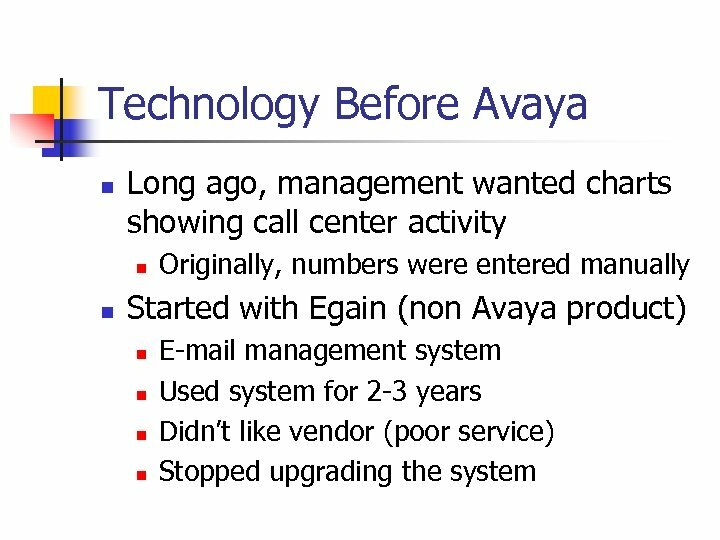 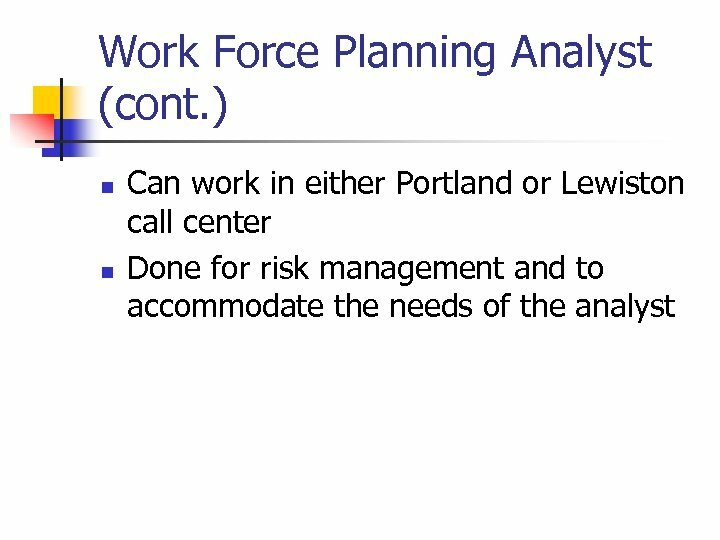 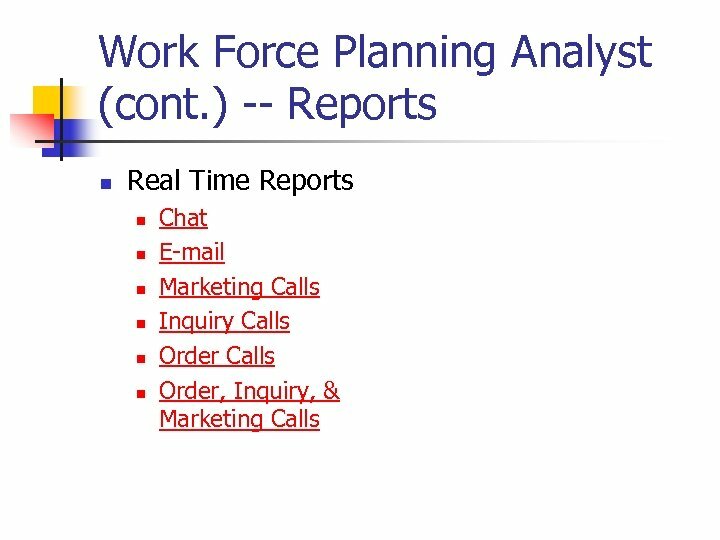 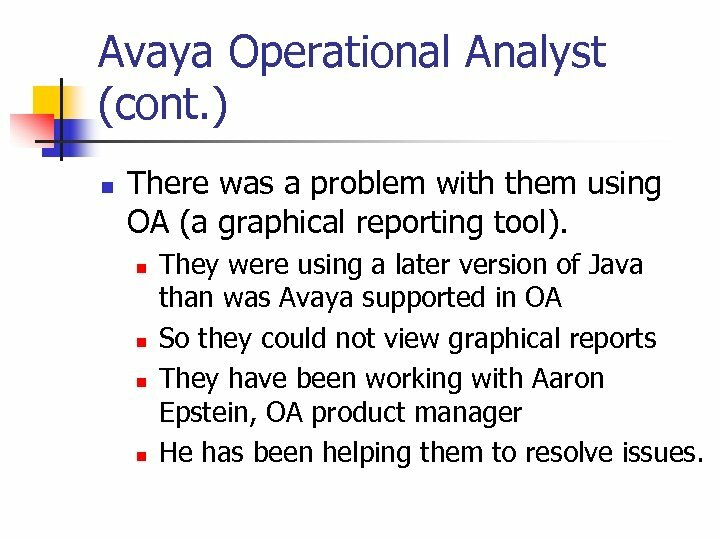 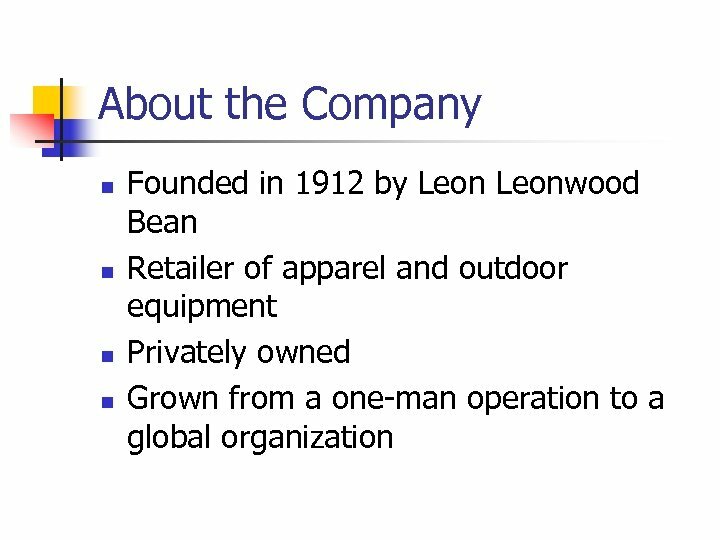 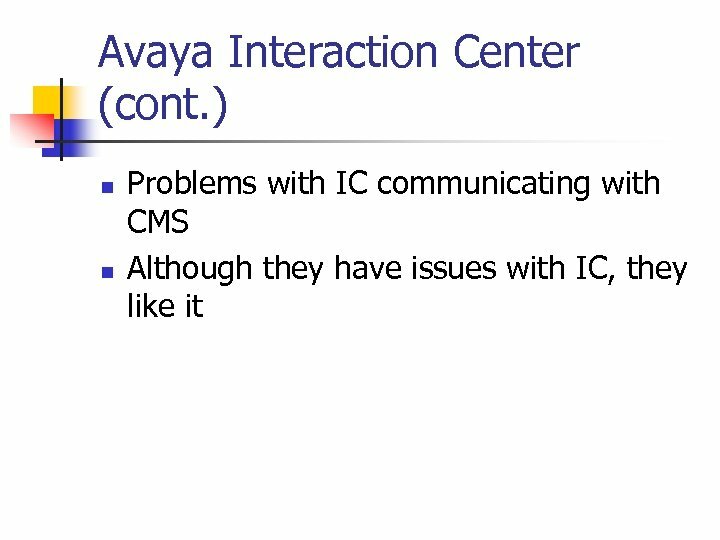 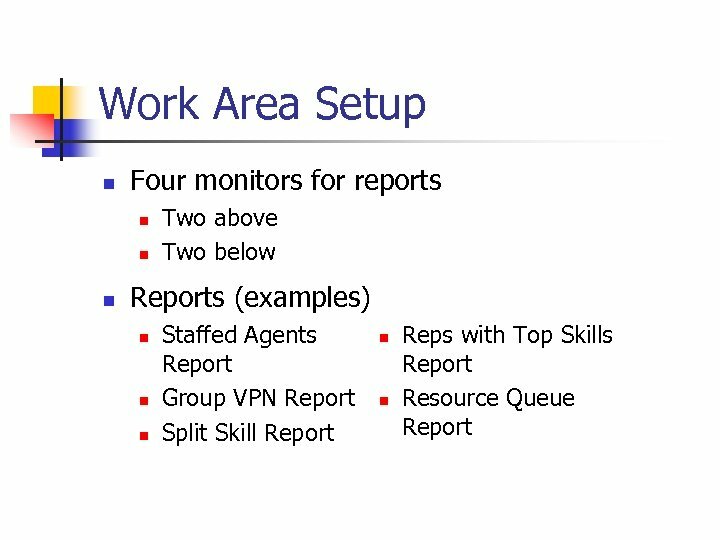 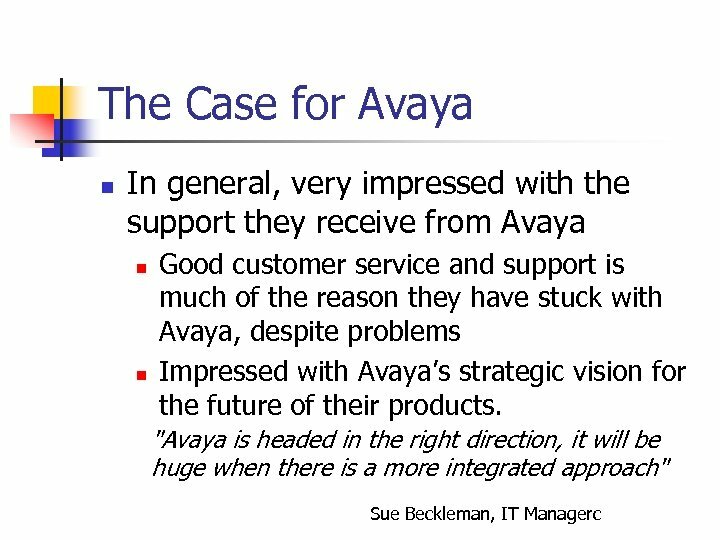 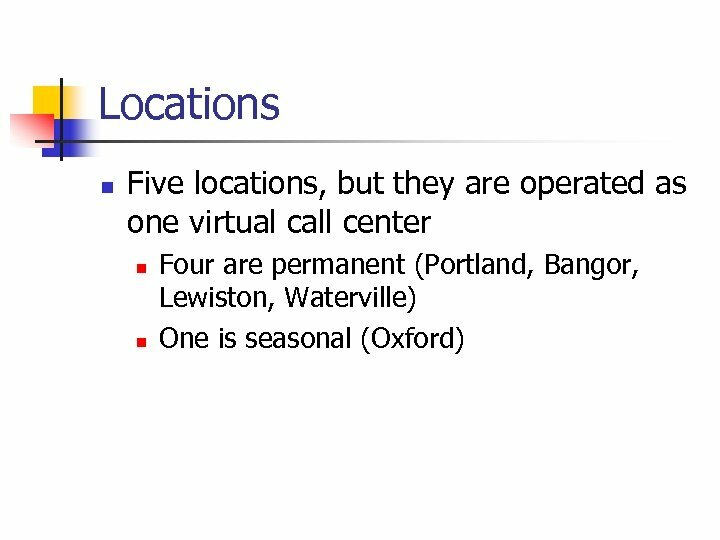 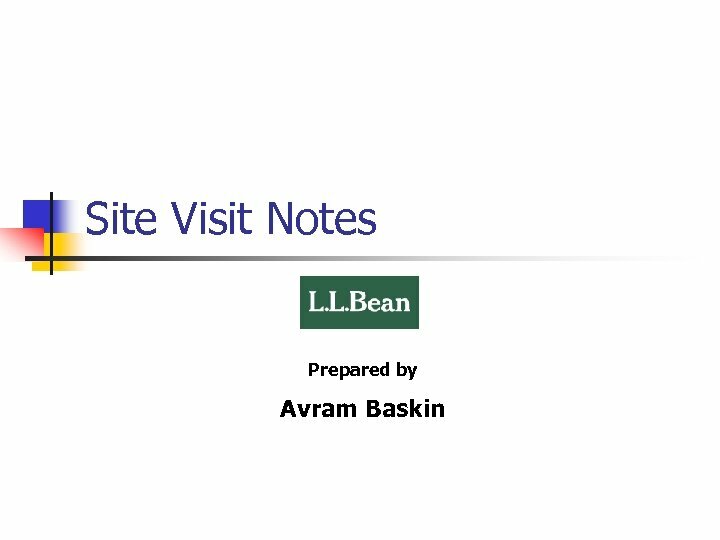 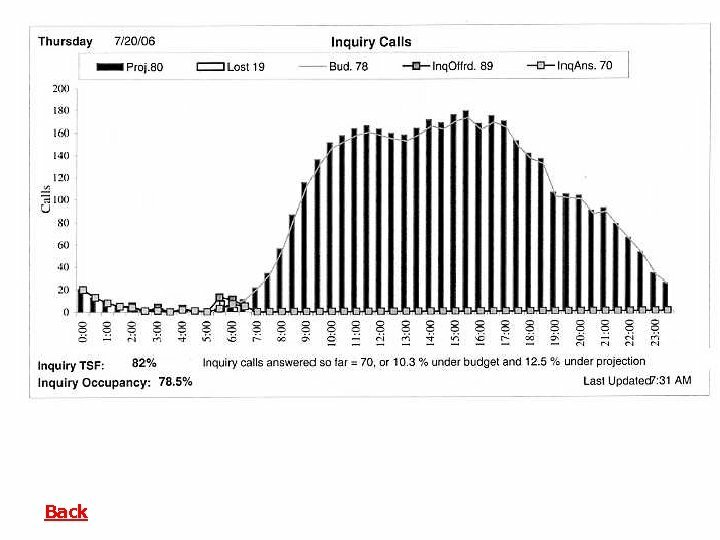 n n They were using a later version of Java than was Avaya supported in OA So they could not view graphical reports They have been working with Aaron Epstein, OA product manager He has been helping them to resolve issues. 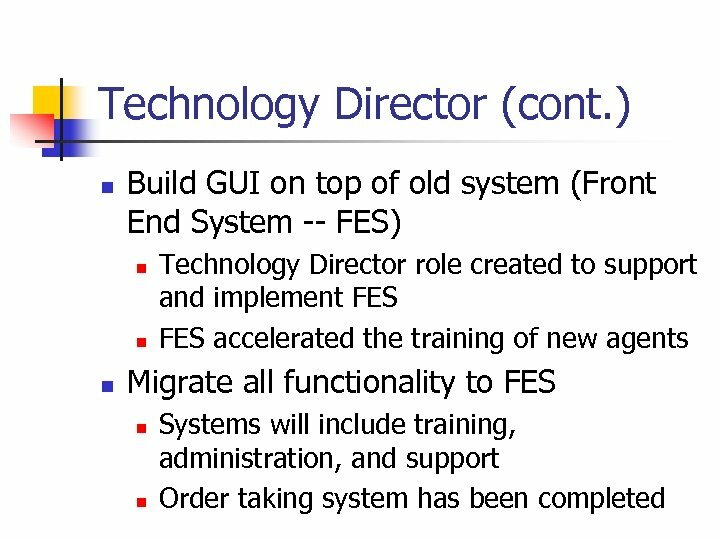 Technology Director (cont. ) 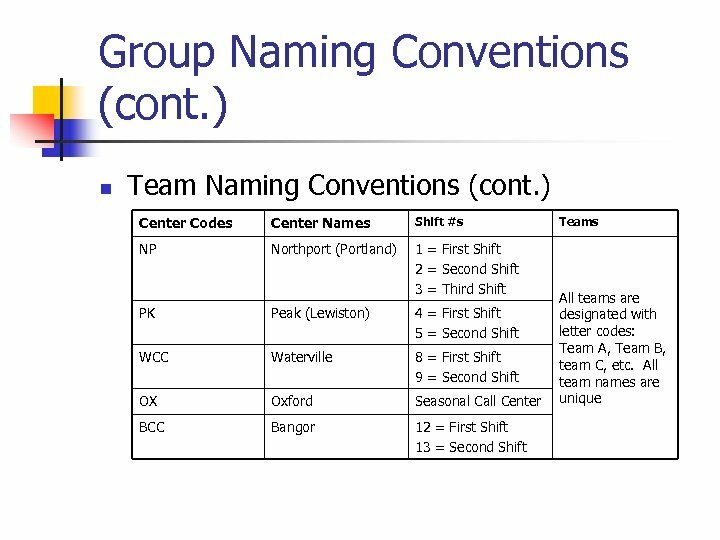 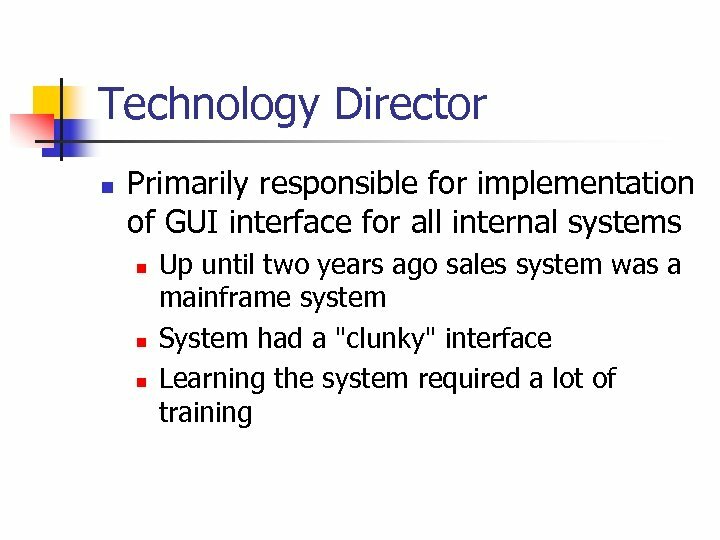 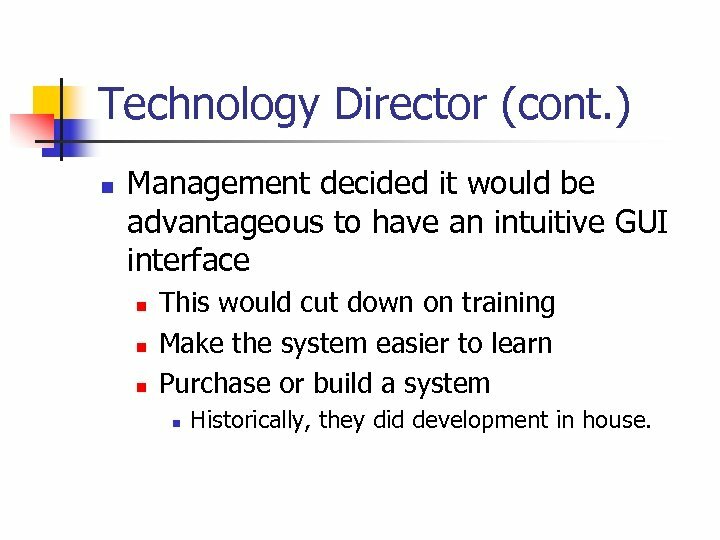 n Management decided it would be advantageous to have an intuitive GUI interface n n n This would cut down on training Make the system easier to learn Purchase or build a system n Historically, they did development in house. 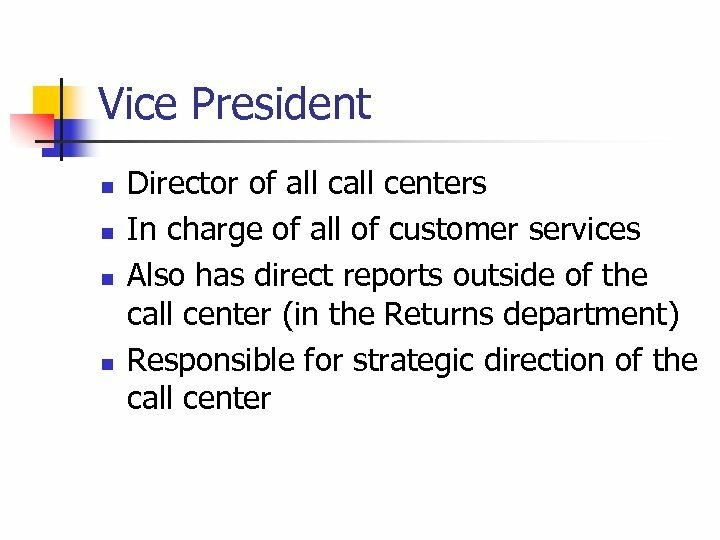 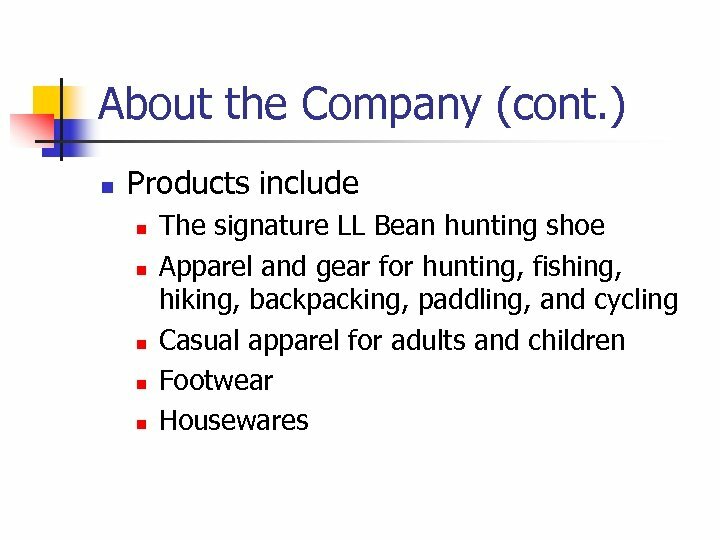 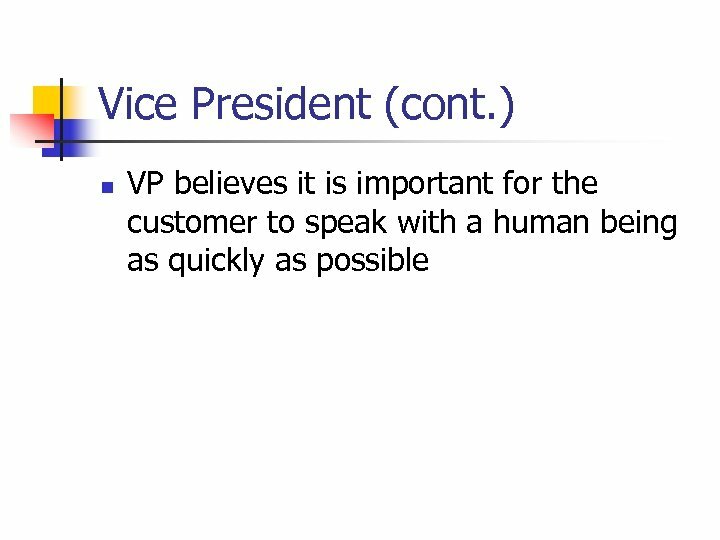 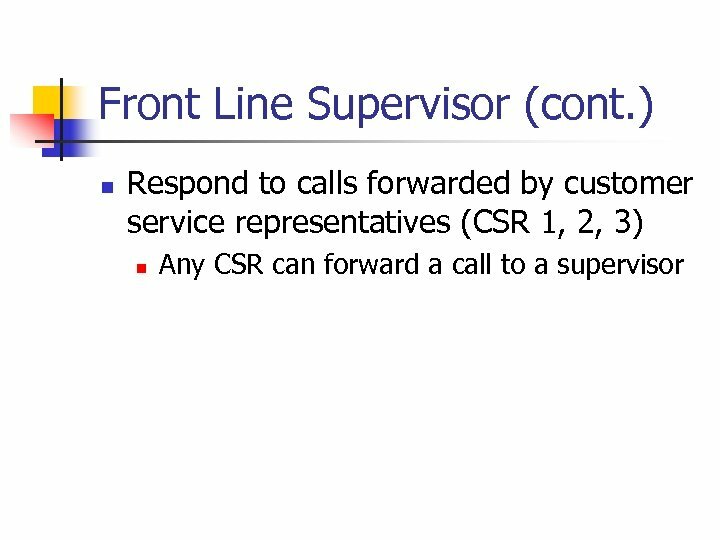 Customer Service Rep. [CSR] 1 (cont. ) 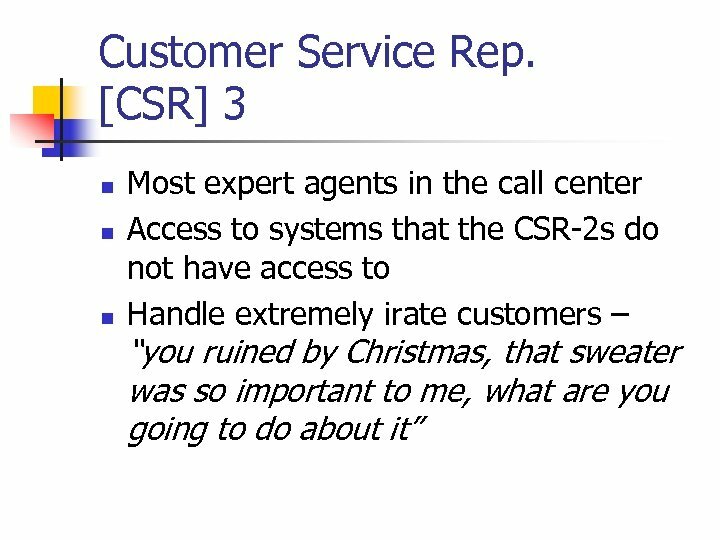 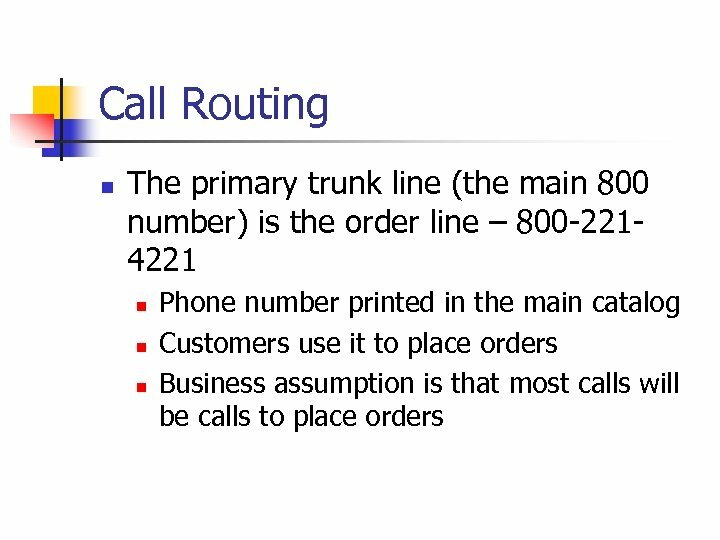 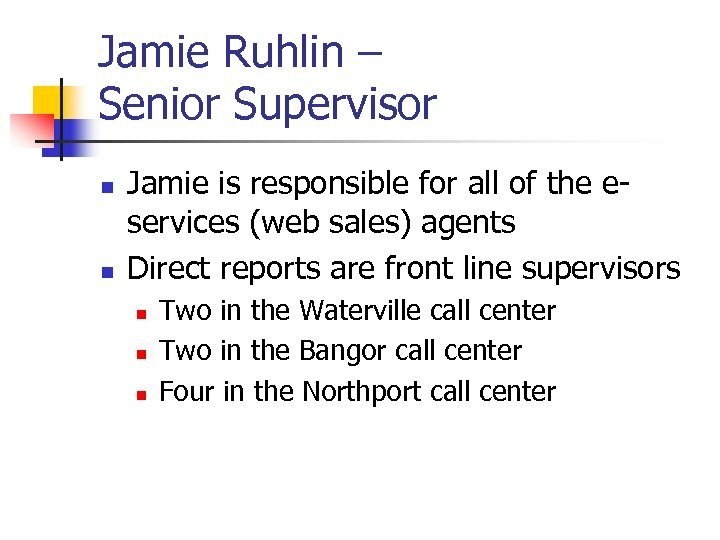 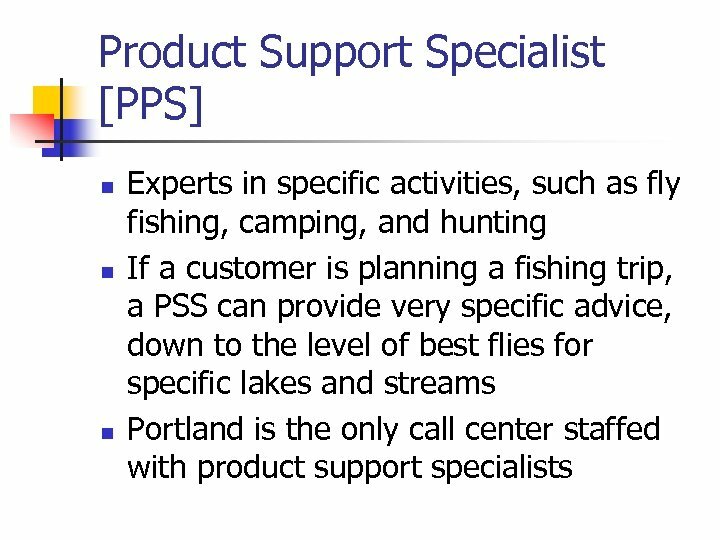 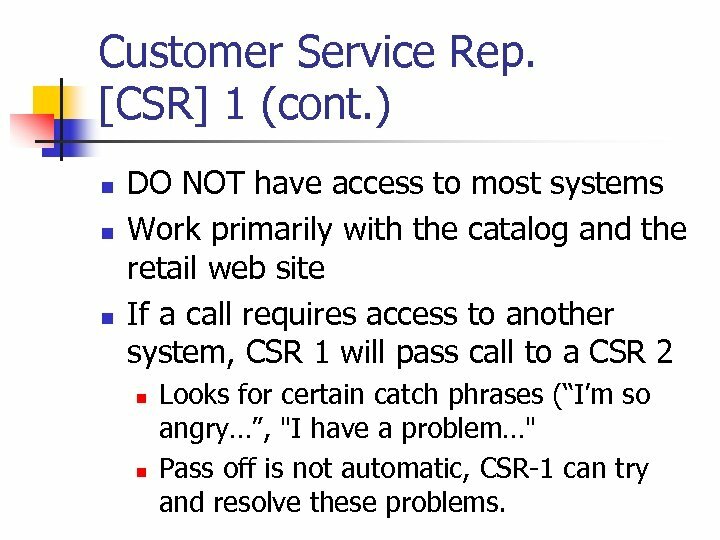 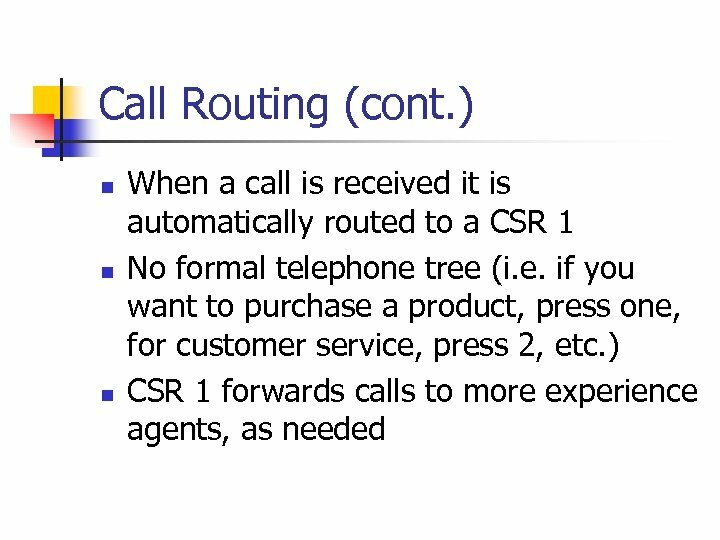 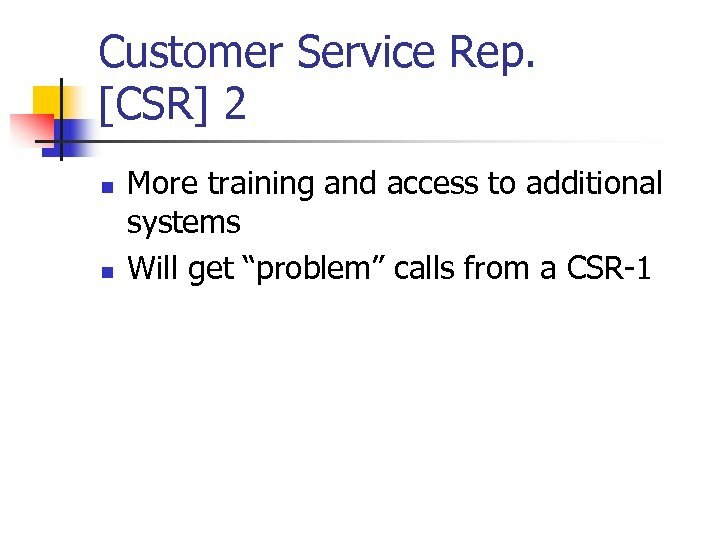 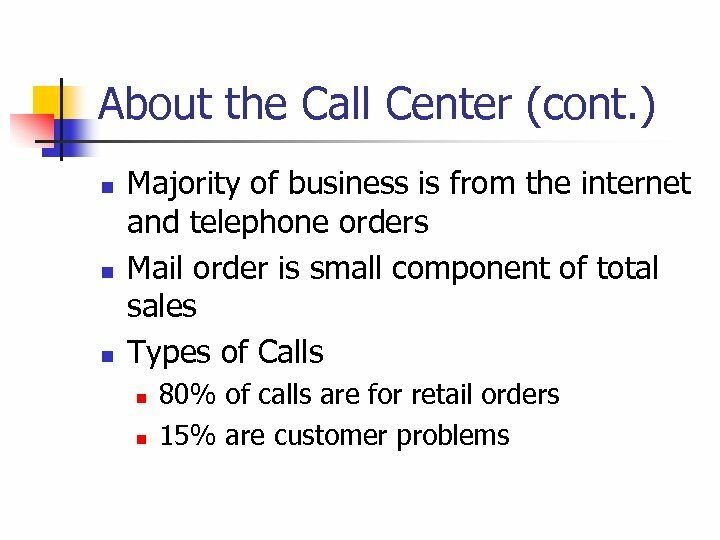 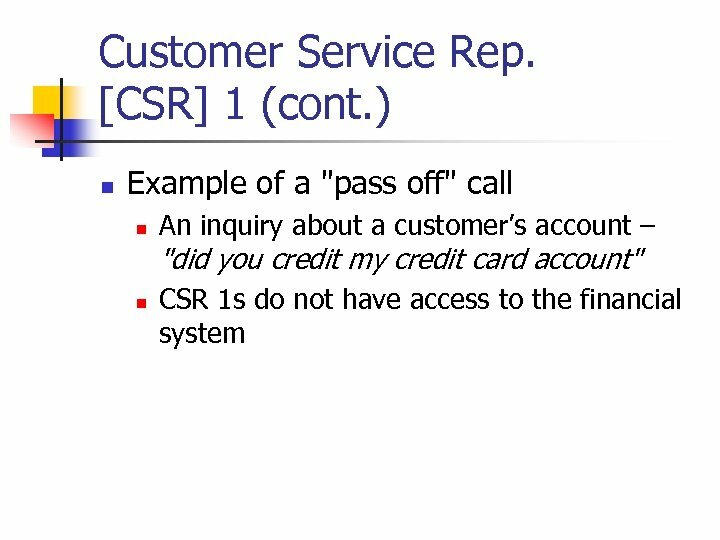 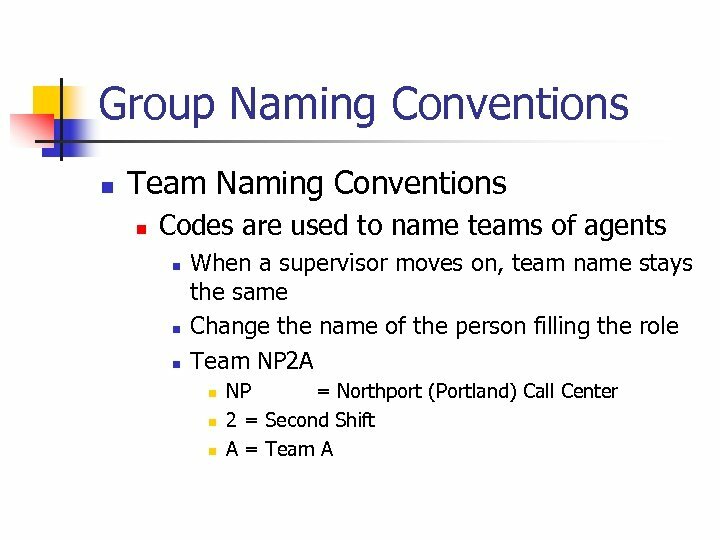 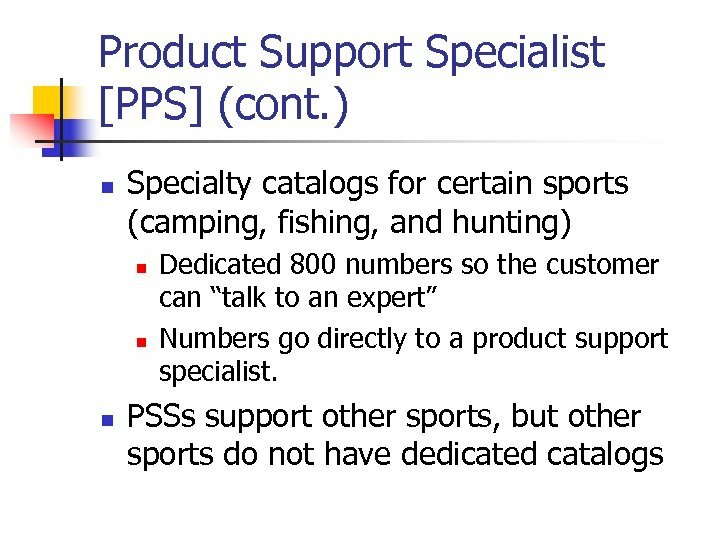 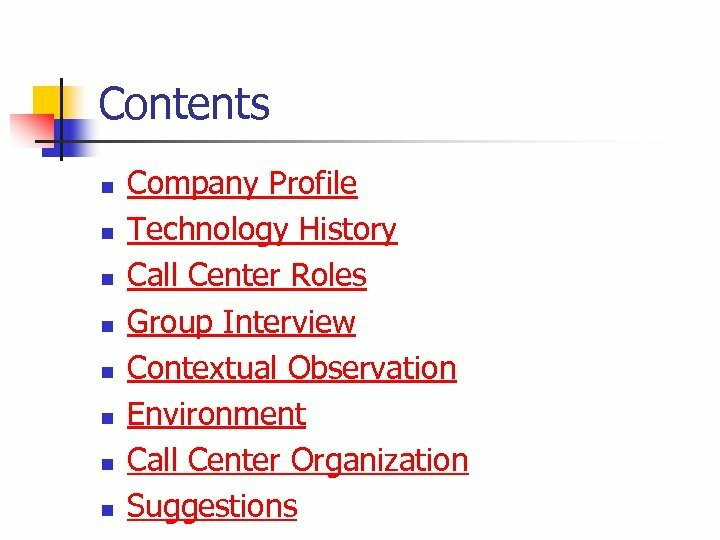 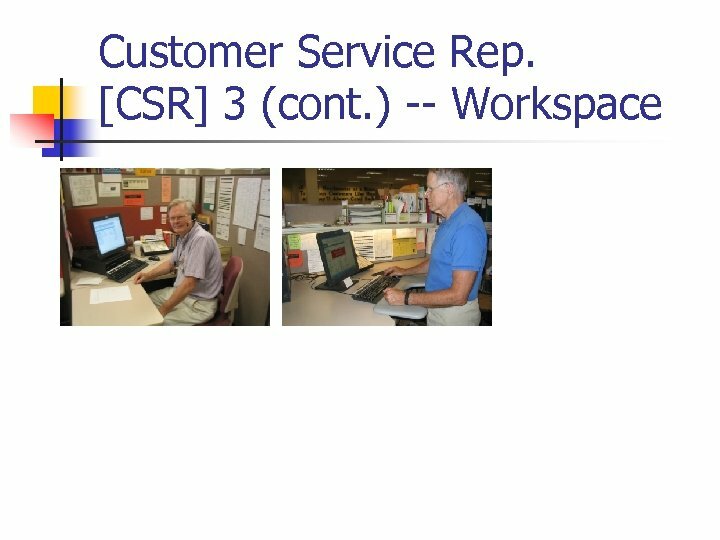 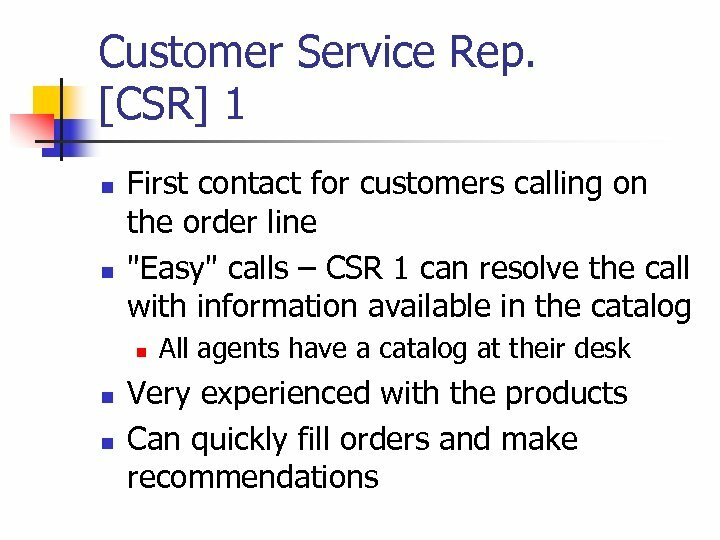 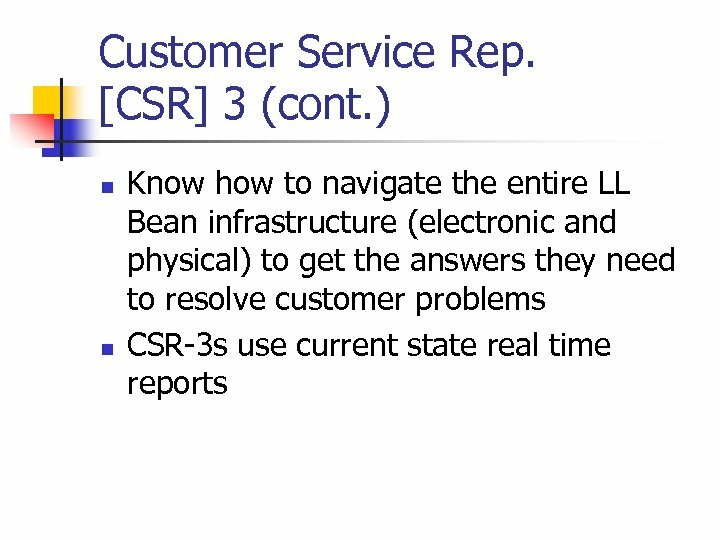 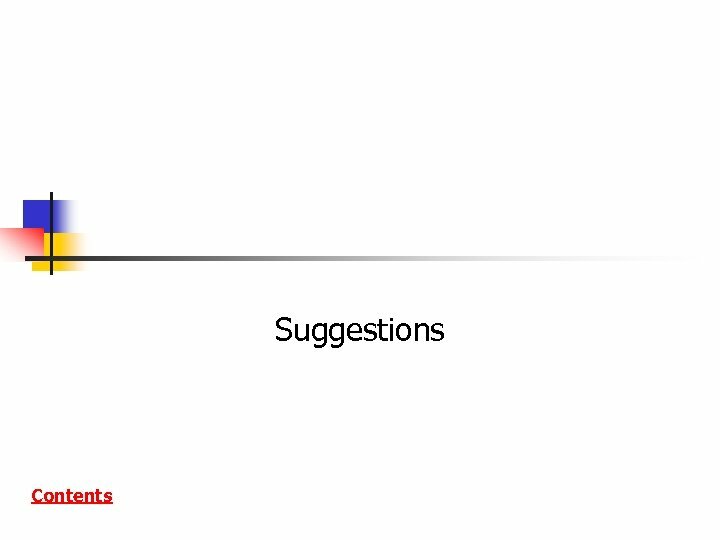 n n n DO NOT have access to most systems Work primarily with the catalog and the retail web site If a call requires access to another system, CSR 1 will pass call to a CSR 2 n n Looks for certain catch phrases (“I’m so angry…”, "I have a problem…" Pass off is not automatic, CSR-1 can try and resolve these problems. 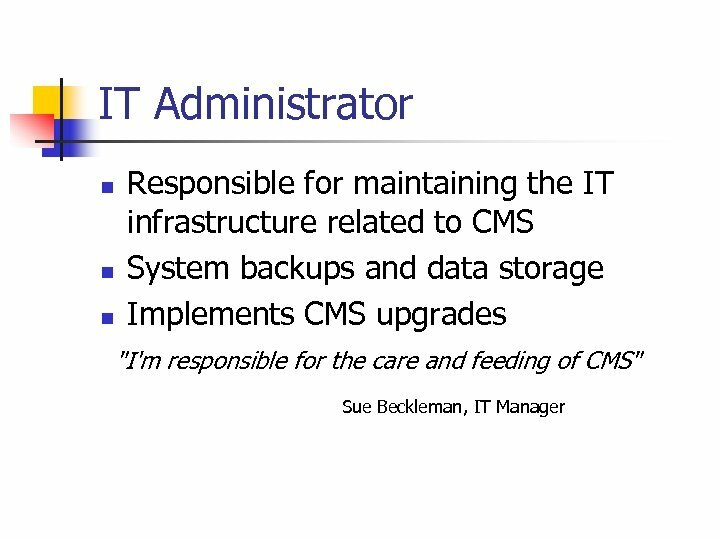 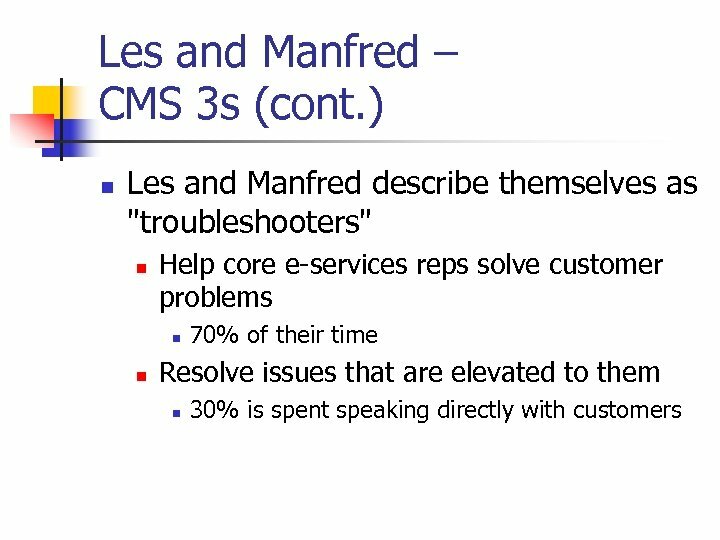 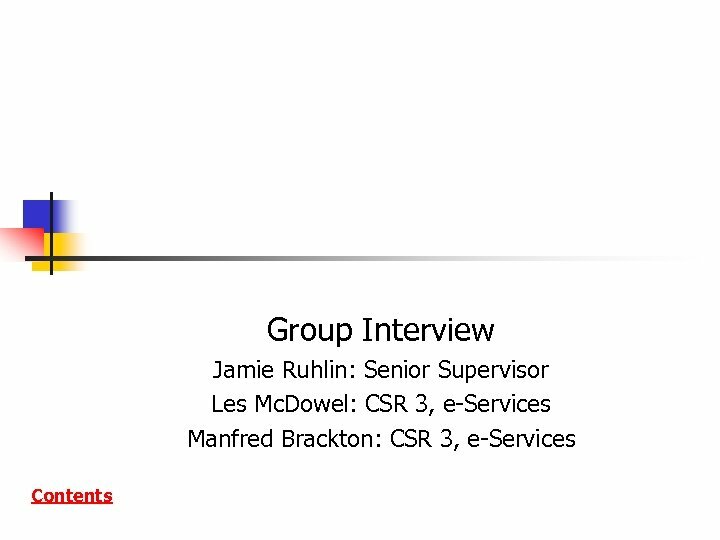 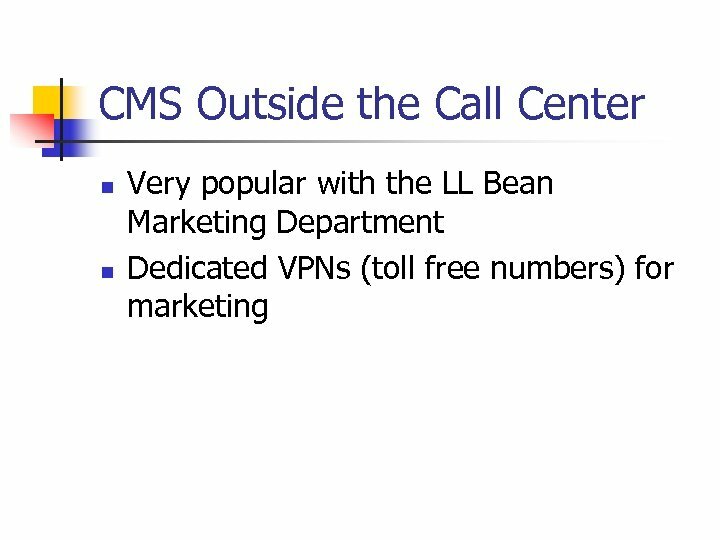 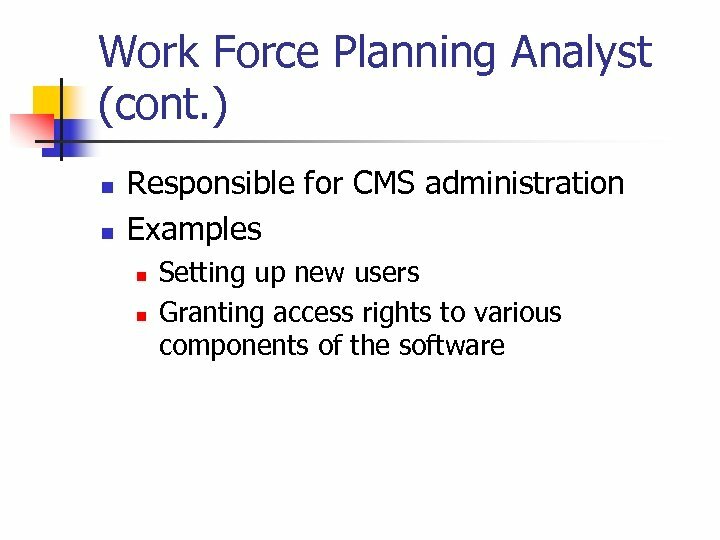 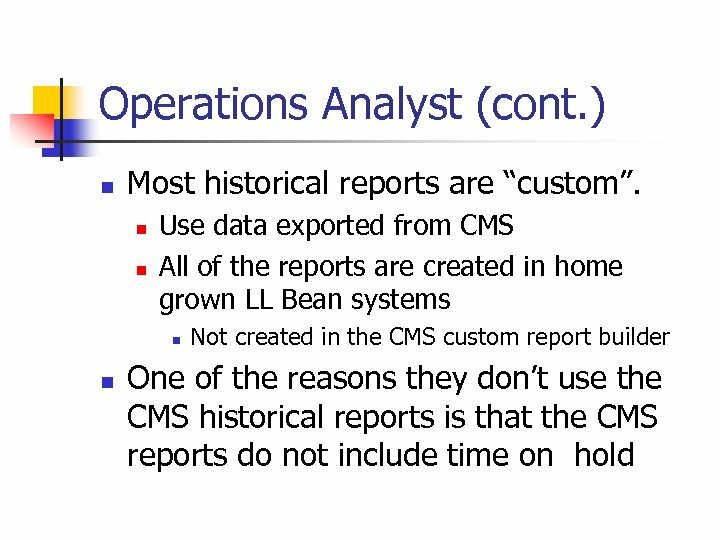 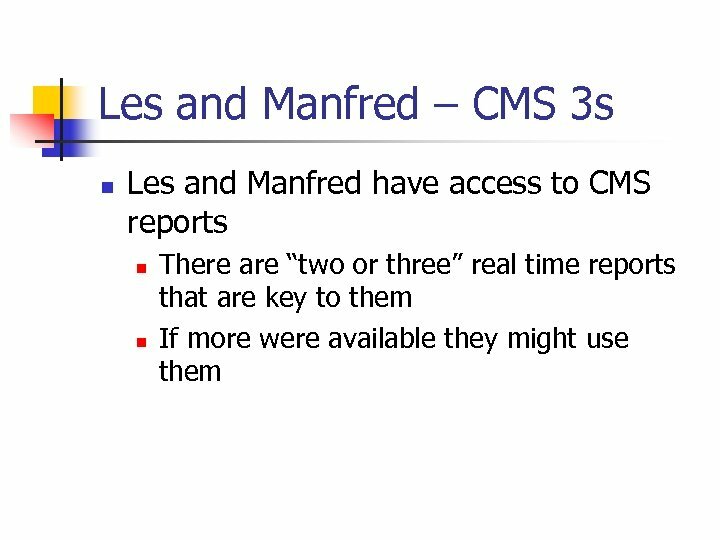 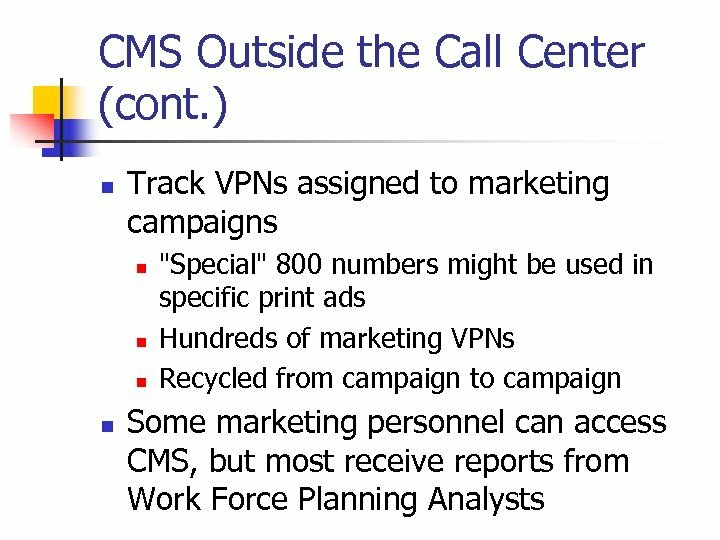 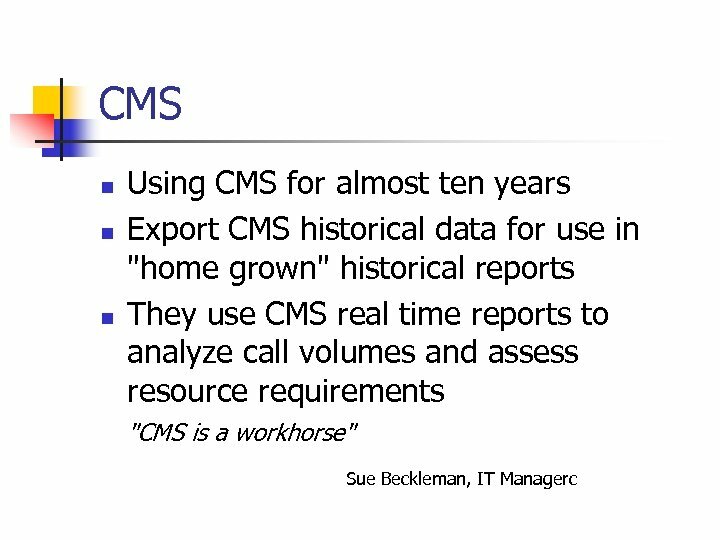 Les and Manfred – CMS 3 s (cont. ) 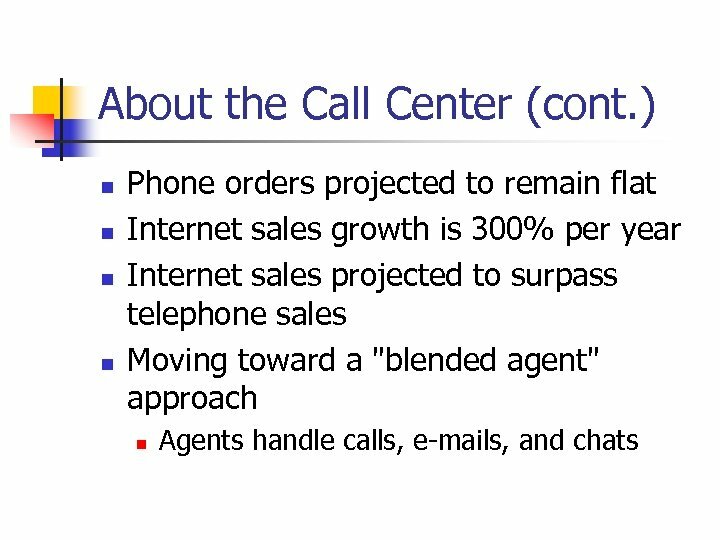 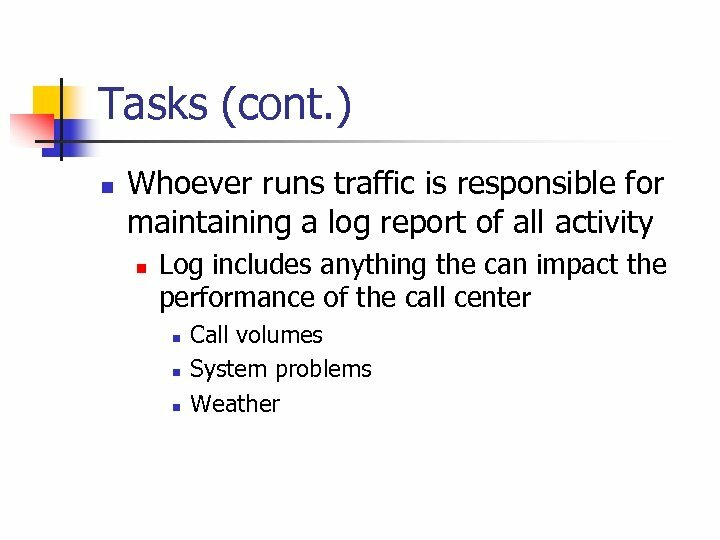 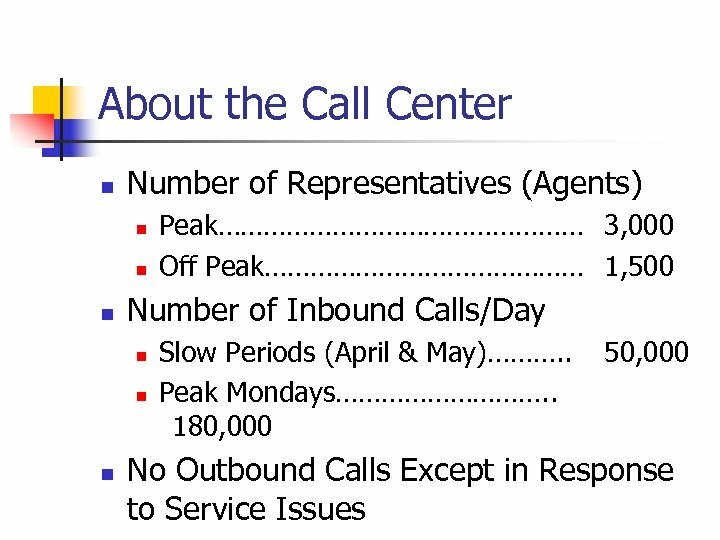 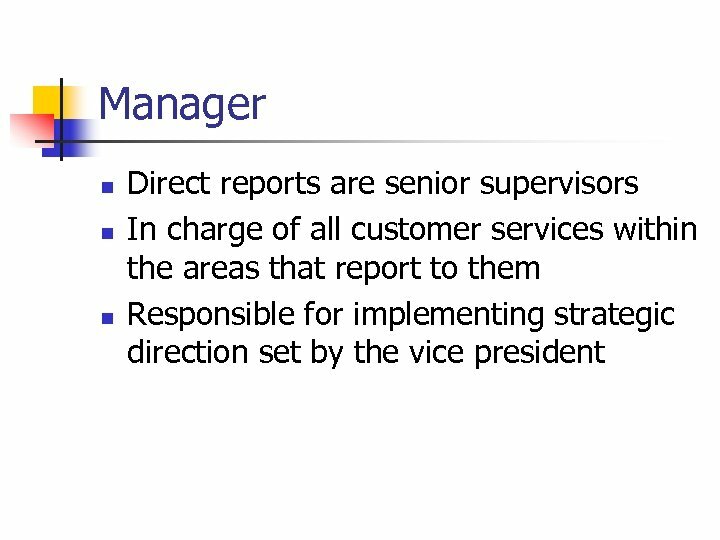 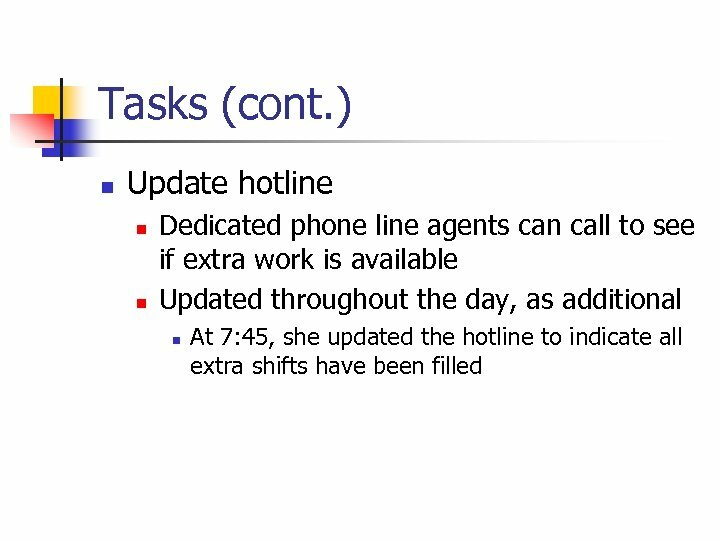 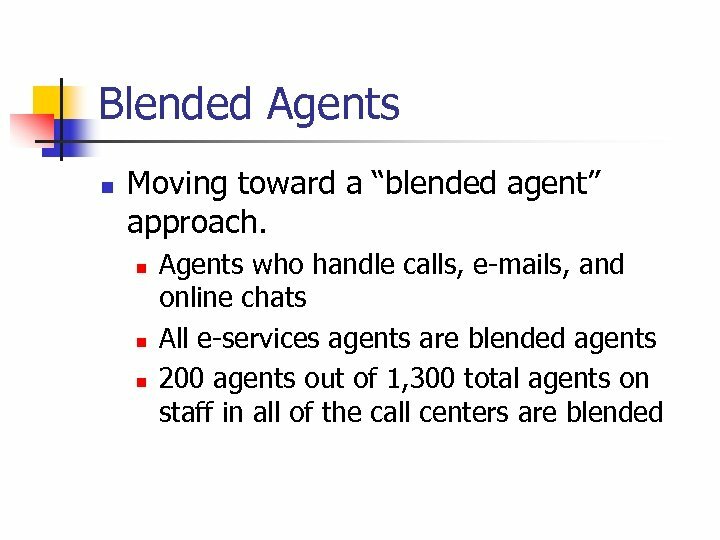 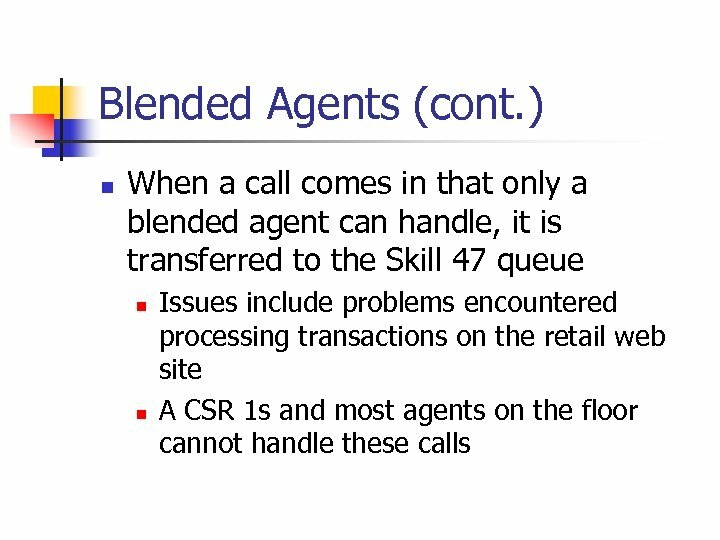 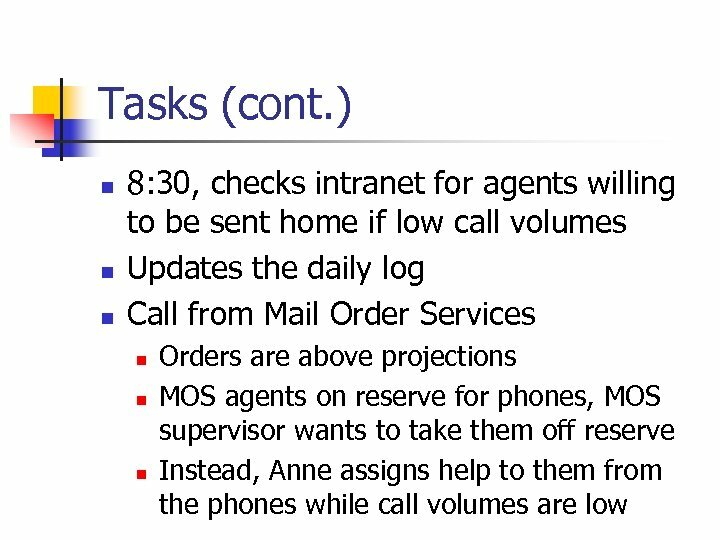 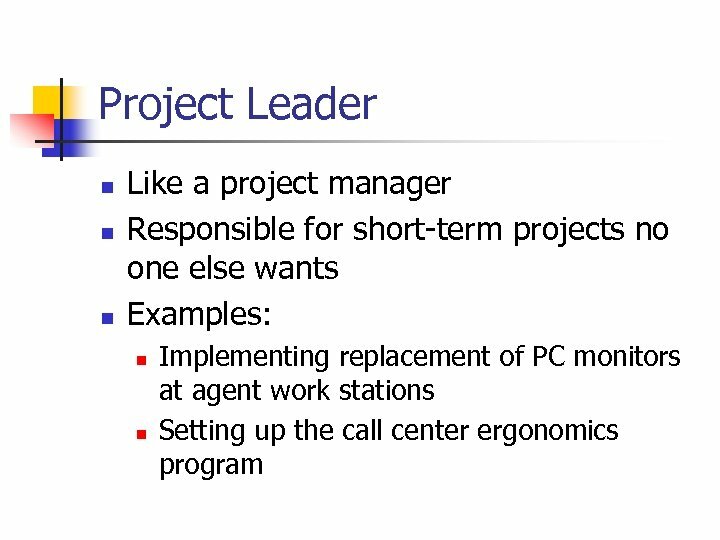 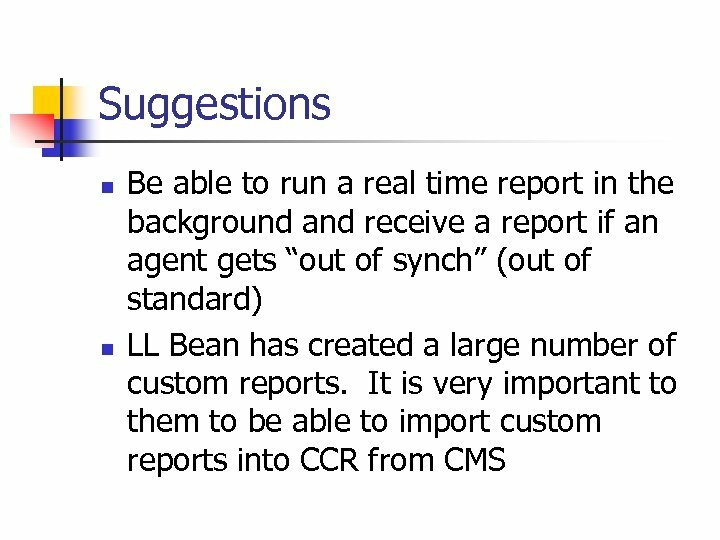 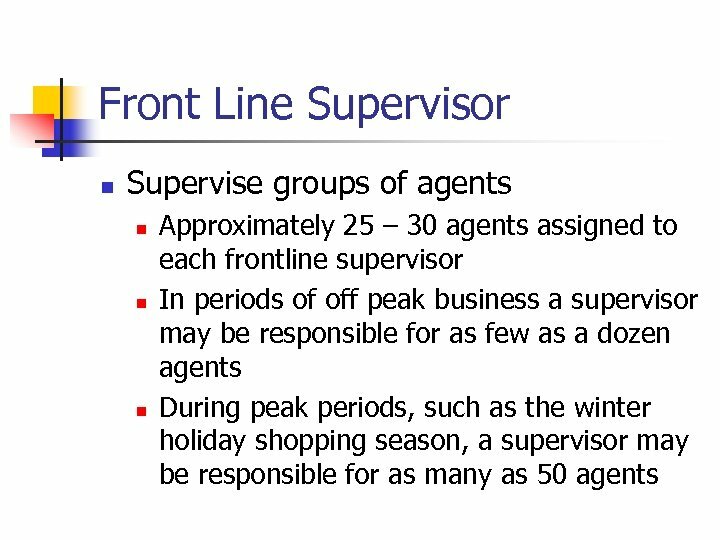 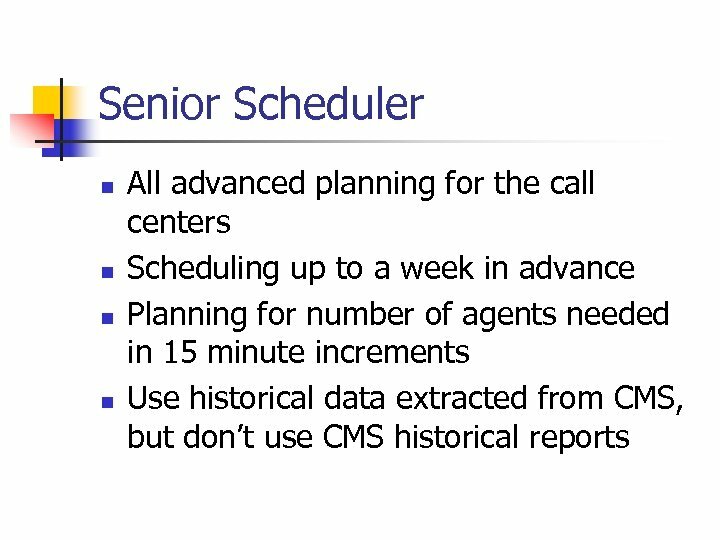 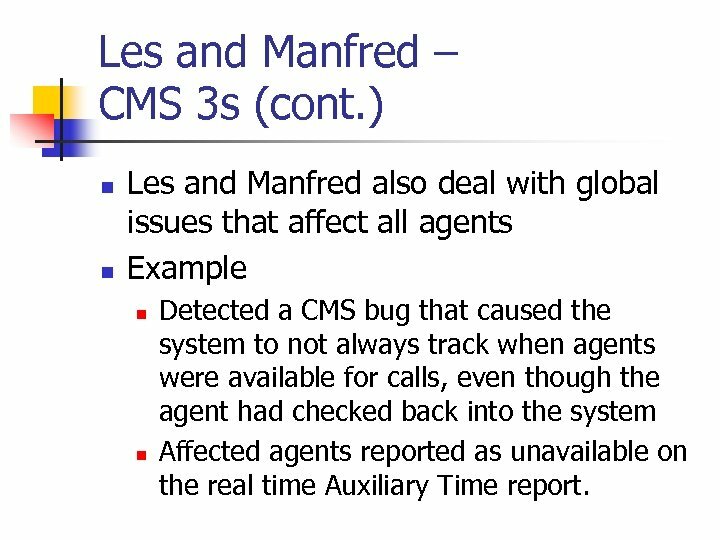 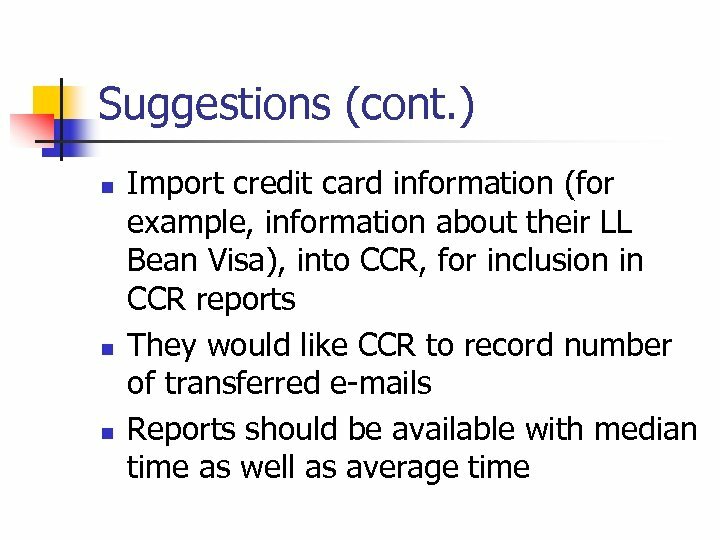 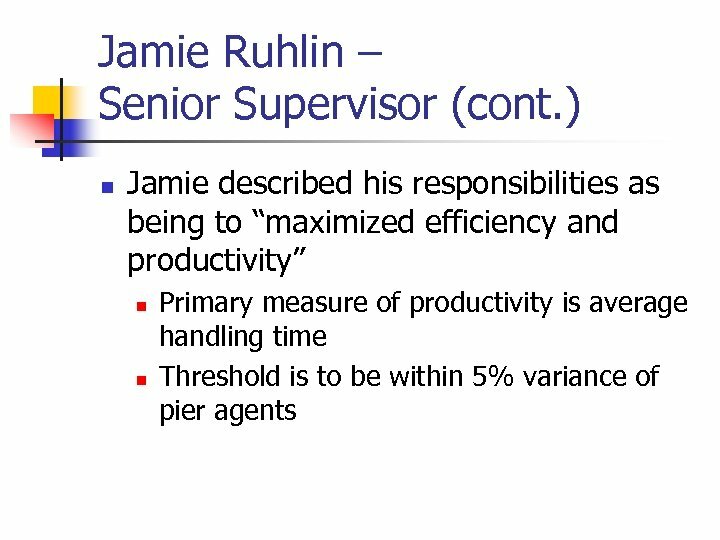 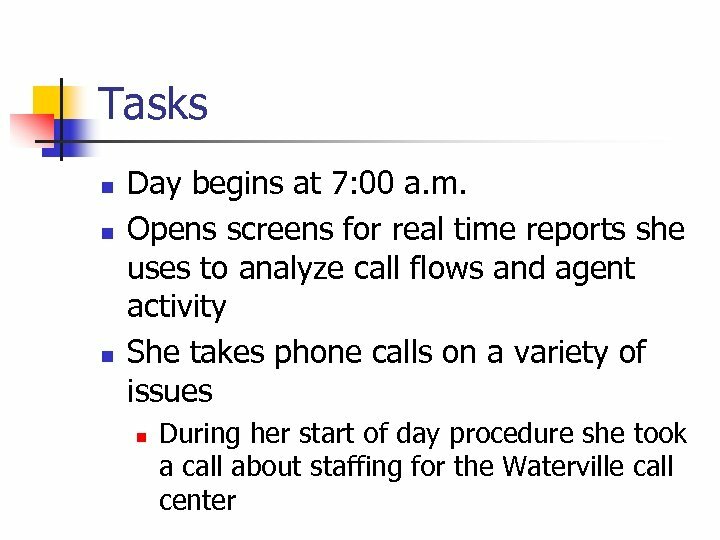 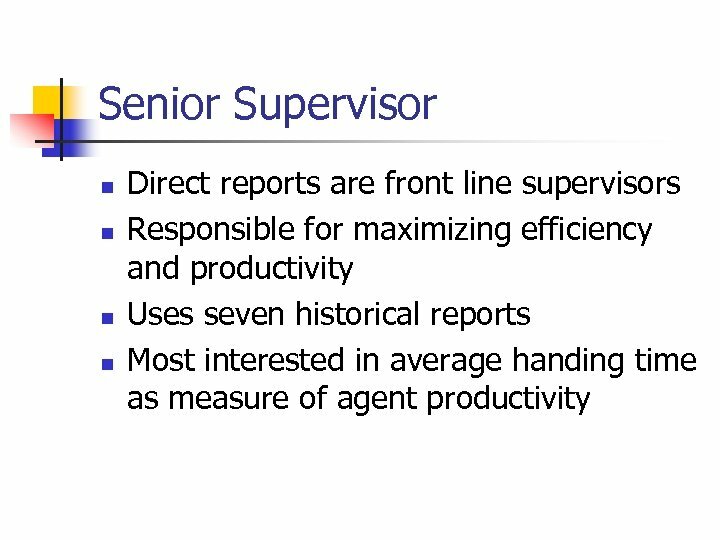 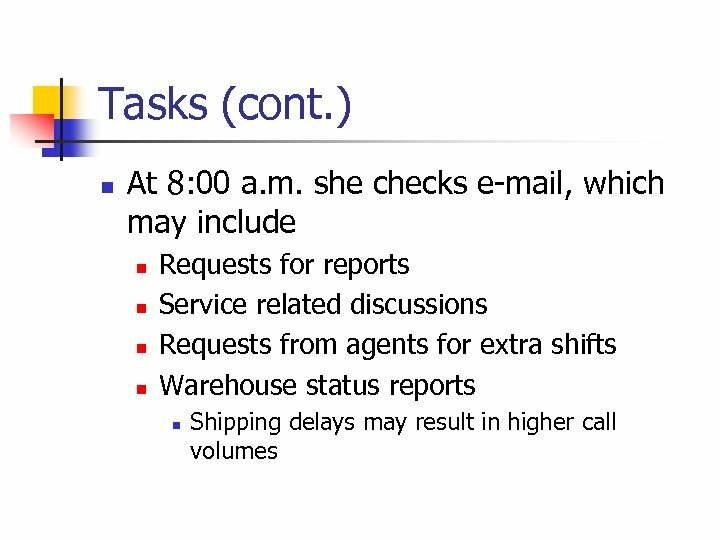 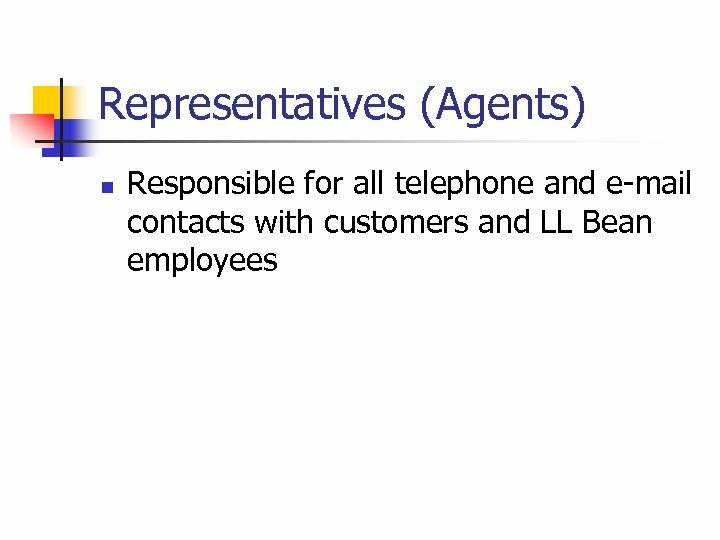 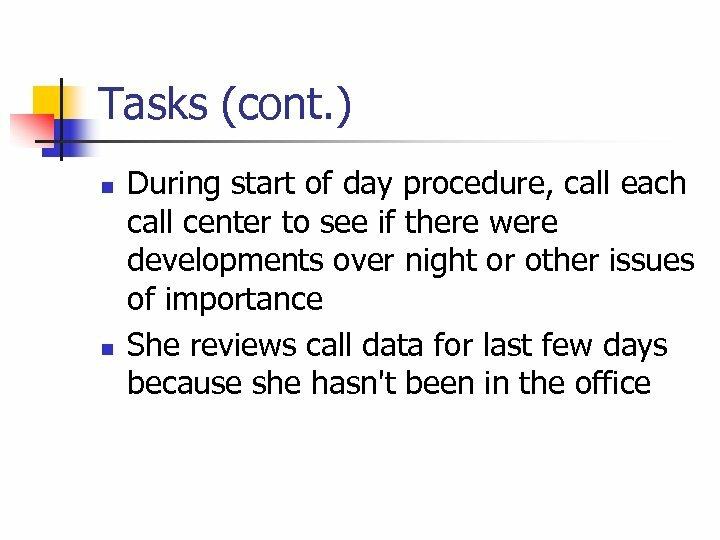 n n Les and Manfred also deal with global issues that affect all agents Example n n Detected a CMS bug that caused the system to not always track when agents were available for calls, even though the agent had checked back into the system Affected agents reported as unavailable on the real time Auxiliary Time report.